The Nuclear Information Project is widely used as a source for news reports about nuclear weapons and referenced in publications published by governments, institutes, organizations and individuals. On average, every second day a news story or publication is published somewhere in the world that makes use of our work. The project is, according to the Washington Post, "one of the most widely sourced agencies for nuclear warhead counts." 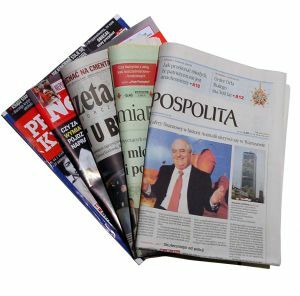 The research, analysis and publications that provided the basis for the news coverage listed below were made possible by generous grants from the Carnegie Corporation of New York and the Ploughshares Fund. This chronology lists selected news stories and publications by others that have made use of information and analysis from the Nuclear Information Project (numerous other examples of use of our work are not included because they were not easily available via links). To the extent possible, the documents are located on the FAS web site, but external links might go dead over time. If you need assistance to locate missing items, please contact individual project staff via the "about" page. Apr: Preparing for Deep Cuts: Options for Enhancing Euro-Atlantic Security and International Security, Deep Cuts Commission, April 2014. Apr 29: The Guardian, "Risk of nuclear accidents is rising, says report on near-misses." Apr: Patricia Lewis, et al., Too Close for Comfort: Cases of New Nuclear Use and Options for Policy, Chatham House, Royal Institute of International Affairs, April 2014. Apr 28: "50 Facts About Nuclear Weapons Today," Arms Control and Non-Proliferation Initiative, Brookings. Apr 15: Newsweek, "After Ukraine, Countries That Border Russia Start Thinking About Nuclear Deterrents." Apr 8: military.com (AP), "US Will Cut Air Force Nuke Missile Force by 50." Apr 8: Wall Street Journal, "Putin Invades, Obama Dismantles." In addition to being facturally wrong on several points, the opinion piece distorts what I wrote in this blog. Mar 6: Global Security Newswire, "Experts See Russian Strides on Nuclear-Force Updates." Mar [no date], indepthnews.org, "NATO and Russia Cought in Nuclear Arms Race." Feb 28: Defense Tech, "Nuclear Bomb Upgrade Could Vilate Treaty." Feb 28: Global Security Newswire, "'Significant' Alterations Seen in Updated B-61 Bomb: Report." This article was also posted in the National Journal. Feb 4: Lauren Caston, et al., The Future of the U.S. Intercontinental Ballistic Missile Force, RAND Corporation, February 2014. Jan 30: De Standard (Belgium), "'België moet F-35 wel kopen'." Jan 14: Trimming the Bloated Nuclear Weapons Budget, Arms Control Association, Issue Brief Vol. 5, Issue 3, January 14, 2013. Jan 12: Great Falls Tribune, "Navy may reduce nuke numbers: Move would give ICBMs breathing room." Refers to FAS Nuclear Notebook published in the Bulletin of the Atomci Scientists. Jan 10: Financial Times, "US Nukes: Now It's Our Turn to Catch Up to the Russians," The headline does not reflect what I said in the interview, and the information in the table sourced as the Center for Arms Control and Non-Proliferation appears to be derived from this FAS table. Jan 9: Seattle Times, "Judge rejects suit to halt dock addition at Trident base." Jan 9: USA Today (Associated Press), "Nuclear launch officers tied to narcotics probe." Jan 9: CBS News, "Chuck Hagel making rare visit to nuclear missile base." Jan 7: Jon Wolfsthal, et al., The Trillion Dollar Nuclear Triad, James Martin Center for Nonproliferation Studies, January 2014. Jan 7: Defense One, "U.S. Will Start Cutting Its Submarine Missile Launchers Next Year." Dec: Michael Krepon and Julia Thomson, Deterrence Stability and Escalation Control in SouthAsia, The Stimson Center, December 2013. Dec 19: Voice of America: "Chinese Military's Secret to Success: European Engineering." Dec 17: Lisbeth Grondlund, Union of Concerned Scientists, "How Many Nuclear Weapons Does the U.S. Have? Don't Ask Congress." Dec 5: ABC News, "Cold War: Putin Talks Tough Over US Arctic Rivalvy." Dec 1: Nikolai Sokov, Arms Control Wonk, "Allegations of Russian Arms Control Cheating are Unfounded, But a Good Reason to Revisit Treaty Options." Nov 21: Global Security Newswire, "Annual U.S. Congress Report on China is Curiously Light on Nuclear Arms Info." Nov 21: Richard Weitz, INS (Switzerland), "Chinese Nuclear Force Modernization and Its Arms Control Implications." Nov 20: Epoch Times, "China’s Nuclear Submarines Are Less Than Advertised." Nov 19: Associated Press, "Nuclear Weapons." Second graphic (Nuclear World: Coountry Stockpiles and the Doomsday Clock) uses FAS data on wok nuclear stockpiles from our September Nuclear Notebook. Nov 10: Voice of Russia, "US to upgrade old nukes in Europe to 'all-in-one' bombs." Nov 6: Der Spiegel, "Nuclear Arsenal: US To Turn Old Bombs Into All-Purpose Weapons." Nov 6: Rutland Herald, "Rutland makes China's best list - as nuke targets." Nov 5: Flashpoints (The Diplomat), "State Media Boasts of China's Ability to Nuke US Cities." Oct: Gary Schaub, Adjusting the Architecture: Arms Control, Disarmament, and Non-Proliferation in NATO, Centre for Military Studies, University of Copenhagen, October 2013. Oct: Global Fissile Material Report 2013, International Panel on Fissile Materials, October 2013. Oct: Stephen J. Cimbala, "Missile Defense and Nuclear Deterrence: Moving Deterrence, or Backward?," Strategic Studies Quarterly, Fall 2013, pp. 73-87. Oct 22: Information (Denmark), "Eksperter frygter amerikansk atomvåbenulykke [Experts fear U.S. nuclear weapons accident." Oct 18: Der Spiegel, "Militärtechnik: Experten werfen US-Regierung Entwicklung neuer Atomwaffen vor." Oct 10: Reuters, "Western powers talk nuclear disarmament, upgrade what's left." Oct 3: RIA Novosti, "Slow START: US Increases Deployed Nuclear Forces - Scientists." Oct 3: National Journal, "Updated New START Data Showing Larger U.S. Stockpile Not Alarming: Experts." Oct 3: Slate.com, "The U.S. Increased Its NUclear Forces Over the Last Six Months." Oct 3: Jon Harper, Asahi Shimbun, "Analysis: China's nuke build-up is a concern, but a nuclear-armed Japan is not the answer." Oct: Don't Bank on the Bomb: A Global Report on the Financing of Nuclear Weapons Producers, IKV Pax Christi & ICAN, October 2013. Sep 29: La Tercera (Chile), "Discusión de tema nuclear reabre debate sobre cantidad y seguridad de arsenales." Sep 26: Japan Times, "Iran tries to shift scrutiny to Israeli nuclear weapons." Sep 25: Huffington Post, "Scrutiny Of Iran's Nuclear Program Likely To Highlight Israel's Secret Atomic Weapons Stockpile." Sep 25: News-Sentinel (AP), "Iran tries to shine light on Israeli nukes." Sep 22: Ohama World-Herald, "Clock is ticking on aging B61 bomb, StratCom chief says." Sep 20: RT (Russia Today), "UN nuclear meeting rejects Arab push for Israel to join weapons pact." Sep 18: Times of India, "India's development of ICBMs likely to fuel arms race with China." Sep 18: The Standard (Hong Kong), "Syria and nukes on agenda for Obama-Netanyahu chat." Sep 16: PressTV (Iran), "US report confirms Israel has at least 80 nuclear warheads." Sep 16: Russia Today, "Israel has about 80 nukes, can about tripple inventory - report." Sep 15: La Times, "Israel has 80 nuclear warheads, canmake 115-190 more, report says." Sep 15: Israel Hayom, "'Israel suspended nuclear weapons production in 2004'." Sep 14: Haaretz (Israel), "Israel froze production of nuclear warheads in 2004, foreign experts say." Sep 13: Mondiaal Nieuws (Belgium), Opinion, "Time to go! Kernwapens weg uit België [TIme to go! Nuclear Weapons Out of Belgium]." Sep 13: De Morgen (Belgium), "Boosheid om het geheime kernwapenakkoord van Defensie [Anger about the secret nuclear weapons agreement by defense ministry]." Sep 13: De Morgen (Belgium), "Leterme: "Geen weet van modernisering kernwapens [Leterme: No one knows about modernization]." Sep 13: RIA Novosti (Germany), "Nato-Länder wollen US-Kernwaffen auf ihrem Territorium modernisieren - Medien [NATO countries want to modernize US nuclear weapons on their territory]." Sep 13: De Redactie (Belgium), "'Mogelijk akkoord staat haaks op alle afspraken' ['Possible agreement is contrary to all agreements']." Sep 13: HLN (Belgium), "Kleine Brogel krijgt nieuwe en moderne kernwapens [Kleine Brogel gets new and modern nuclear weapons]." Sep 13: Knack (Belgium), "Tegen 2020 worden atoombommen in Kleine Brogel gemoderniseerd [By 2020 the nuclear bombs at Kleine Brogel will be modernized]." Sep 13: De Standard (Belgium), "Nieuwe kernwapens voor Kleine Brogel [New nuclear weapons for Kleine Brogel]." Sep 13: Mondiaal Nieuws (Belgium), "'Tegen 2020 worden atoombommen uit Kleine Brogel gemoderniseerd' [By 2020 atomic bombs from Kleine Brogel modernized]." Sep 13: Limburg (Belgium), "Nieuwe kernwapens op militaire basis Kleine-Brogel [New nuclear weapons on Kleine Brogel air base]." Sep 13: Le Soir (Belgium), "«De nouvelles armes nucléaires à Kleine-Brogel» [New Nuclear Weapons at Kleine Brogel]." Sep: James Acton, Silver Bullet: Asking the Right Questions About Conventional Prompt Global Strike, Carnegie Endowment for International Peace, September 2013. Sep 12: nos.nl (the Netherlands), "Minister Hennis wil niets zeggen over mogelijke nieuwe kernwapens [Minister Hennis to say anything about possible new nuclear weapons]." Sep 12: nos.nl (the Netherlands), "Oppositie: opheldering kernwapens [Opposition: clarification about nuclear weapons]." Sep 12: Trouw (the Netherlands), "'Nederland akkoord met nieuw kernwapen op basis Volkel' [The Netherlands agree to new nuclear weapons at Volkel Air Base.]" Sep 12: Knack (Belgium), "Geheim akkoord over nieuwe kernwapens voor Kleine Brogel [Secret agreement about new nuclear weapons for Kleine Brogel]." Sep 12: KRO Brandpunt Reporter (the Netherlands), "De Nederlandse atoombom [The Dutch Nuclear Bomb]." Sep 12: DutchNews.nl, "US and NL agreed in 2010 to update nuclear bombs, tv show claims." Sep 3: The Economic Times (India), "Pakistan says it has robust control system for nuclear arsenal." The article appears to use FAS estimate of approximately 120 Pakistani nuclear weapons, but without giving credit. Sep 3: Washington Post, "Top-secret U.S. intelligence files show new levels of distrust of Pakistan." The article appears to use FAS estimate of approximately 120 Pakistani nuclear weapons, but without giving credit. Sep 2: Flashpoint (The Diplomat), "Nuclear Weapons Stockpiles: Past and Present." Aug 28: Omroep Brabant (the Netherlands), "Brandpunt Reporter: 'Atoombommen Volkel paar keer per jaar heen en weer gevlogen' [Brandpunt Reporter: 'Nuclear bombs at Volkel flown back and forth a couple of times a year]." Aug 28: Omroep Brabant (the Netherlands), "Angst voor nucleaire ramp Volkel reëel [Fear of nuclear disaster at Volkel real]." Aug 25: Tom Nichols (Naval War College), The National Interest, "The Coming Nuclear War with...the Soviet Union?" Aug 20: Vladimir Dvorkin, Nezavisimoye Voyennoye Obozreniye, "There Is a Need To Object. INF Treaty -- Rudiments of Cold War." Aug 19: Military Times,"Unit that failed nuclear missile inspection raring for second chance." Aug 9: CNN, "The 'radical' nuclear missile test that made history." Jul 26: Pavel Zolotarev, et al., "Russia and the USA at the Crossroads: Obama's Initiatives and Russia's Reaction," Russian International Affairs Council, July 26, 2013. Jul: Security Briefing Book, Fifth Edition, Truman National Security Project, July, 2013. Jul 23: Anniston Star, "Rogers amendment pushes back at Obama nuke cuts." Jul 16: Brookings Institution, Up Front Blog, "Allegations of Russian Intermediate-Range Nuclear Forces Treaty Violation - Where's the Beef?" Jul 12: Congressional Research Service, "The New START Treaty: Central Limits and Key Provisions." Jul 11: Global Security Newswire, "New Intel Report Mum on Prior Nuclear Estimates." Jul 9: Huntington News, "Still Preparing For Nuclear War." Jul 6: Lawrence Krauss, The New York Times, "Lettin Go of Our Nukes." Jun 30: IDN-InDepthNews, "ObamaMagic is Gone - Caution Outweighs Zeal." Jun 21: Global Security Newswire, "Fresh U.S. Nuclear Guidance Relies on Some Cold War Elements." Jun 20: NBC News, "Obama's nuke-reduction goal is just the start of a slow process." Jun 19: CNN, "Does cutting U.S. nukes really matter." Jun 19: Washington Times, "In Brandenburg speech, Obama modifies old campaign goal of 'a world without nuclear weapons." Jun 18: Japan Times, Michael Richardson, "Cruise missile threat in Asia." Jun 5: Daily Mail (AP), "'Poor leadership, long hours and no career prospects': U.S. Air Force crews with finger on the trigger of nuclear missiles complain of morale-sapping pressures." Jun 4: US News & World Report, "Buying Submarines in an Age of Austerity." Jun 4: Associated Press, "Nuclear missile crews cite morale-sapping pressures." Jun 4: Asia News Network, "China defends use of nuclear warheads." Jun 4: China Daily, "Warhead stockpile 'defensive'." Jun 3: Deutche Welle, "Asia countries pile up nuclear arms." Jun 3: Bloomberg, "China's Nuclear Stockpile Grows as India Matches Pakistan Rise." Jun 3: Times of Israel, "Israel now has 80 nuclear warheads, report says." Jun 3: Times of India, "Nuclear weapons: India keeps pace with Pakistan, but focuses on China." Jun: Arms Control Today, "Pentagon Sees China Progressing on SLBM." May 31: Der Spiegel, "US-Analyse zu Nordkorea: Kims Langstreckenraketen angeblich einsatzbereit." May 30: Global Security Newswire, "North Korea, China Pursuing Nuke-Ready Cruise Missiles: Air Force." May 28: forbes.com, "Nuclear Weapons: How Few Is Too Few?" May 16: breakingdefense.com, "Navy Sub Chief Rebuts Critics Claims On SSBN-X; Don't Cut Our Boats." May 16: Rear Adm. Richard Beckenridge, "Navy Responds to Debate Over the Size of the SSBN Force," Navy Live, May 16, 2013. The director of the U.S. Navy Undersea Warfare office responds to my blog about U.S. SSBN deterrent patrols. May 8: Eastasia Review, "Russia Bidding Farewell To Soviet Nukes - Analysis." May 7: Scientific American, "U.S. Nuclear Warheads Set to Get a Facelift." May 7: Nature, "US warheads to get facelift." May 3: Frank Pabian, "Making discoveries in virtual worlds via the Cloud," Freeman Spogli Institute for International Studies, Stanford University, May 3, 2013. May 3: The Diplomat, "Could New SSBN Program 'Sink' U.S. Navy?" May: Michael D. Swaine, et al., China's Military & the U.S.-Japan Alliance in 2030, Carnegie Endowment for International Peace, May 2013. Apr: Stephanie Spies and John Warden, Forging a Consensus for a Sustainable U.S. Nuclear Posture, Center for Strategic and International Studies, April 2013. Apr 21: The Guardian, "Obama acused of nuclear U-turn as guided weapons plan emerges." Apr 18: Barry Watts, Nuclear-Conventional Firebreaks and the Nuclear Taboo, Center for Strategic and Budgetary Assessments, April 18, 2013. Apr 13: Wall Street Journal, "U.S.-China Nuclear Silence Leaves a Void." Uses FAS estimate of Chinese nuclear forces. Apr 12: Huffington Post (Reuters), "'Speculative' Pentagon Report on North Korea's Nuclear Missile Sparks Fear as Officials Urge Skepticism." Apr 11: armscontrolwonk.com, "For your (North Korea) reading pleasure." Apr 11: Reuters, "Pentagon says North Korea can likely launch nuclear missile." Apr 10: Congressional Research Service, "Next Steps in U.S. Arms Control With Russia: Issues for Congress." Apr: Gaukhar Mukhatzhanova, Implementation of the Conclusions and Recommendations for Follow-On Actions Adopted at the 2010 NPT Review Conference: Disarmament Actions 1-11, 2013 Monitoring Report, Monterey Institute, April 2013. Apr 2: DefenseTech.org, "Blast hints at North Korea's nuke." Apr: Alexei Arbatov and Vladimir Dvorkin, The Great Strategic Triangle, Carnegie Moscow Center, April 2013. Mar: Fact Sheet: Global Nuclear Weapons Inventories in 2013, The Center for Arms Control and Non-Proliferation. Mar 21: CNN World, "Nuclear weapons: Who has what?" Mar 14: Wired, "That's No Train! Air Force Eyes Subway For Nuclear Missiles." Mar 12, Nuclear Weapons and U.S.-China Relations, Center for Strategic and Internaitonal Studies, March 2013. Mar 7: IISS Voices, "Why China sent its aircraft carrier to Qingdao." Mar 6: Andrew F. Krepinevich, "U.S. Nuclear Requirements in an Era of Defense Austerity," Center for Strategic and Budgetary Assessments, testimony before the House Armed Services Committee Subcommittee on Strategic Forces. Mar 6: The Diplomat, "For America's Military: Less Nukes." Mar 4: Washington Post, "Budget cuts and bombs." Uses "85 percent" eduction, which for U.S. stockpile appears to come from this FAS article. Mar 1: Turkey Wonk, "The Sequester and Future Nuclear Weapons in Turkey." Feb 27, Global Security Newswire, "Nuclear Arms Count Might Have Fallen by Hundreds Under Obama." Feb 26: Global Zero, "Get the Facts." The newly revamped web site appears to use FAS estimates for world nuclear forces, but without credits. Feb 22: Jonathan Medalia, et al., Nuclear Weapons R&D Organizations in Nine Nations, Congressional Research Service, February 22, 2013. Feb 21: Eurasia Review, "High-Alert Nukes As If The Cold War Didn't End - Analysis." Feb 17: Eurasia Review, "Managing India's Missile Aspirations - Analysis." Feb 15: American Security Blog Flashpoint Blog, "A Nuclear Arsenal for the 21st Century." Feb 14: Global Security Newswire, "Russia Might Still Use Sea-Fired Nuclear Cruise Missiles." Feb 14: David Hoffman, Foreign Policy, "Sounds of Silence." Feb 14: LiveScience, "Experts: North Korea Years From a Bomb." Feb 14: nuclear-news.net, "Cutting down on risk of nuclear weapons that are on alert." Feb 13: Foreign Policy, "How does America's nuclear arsenal stack up against North Korea's?" Feb 12: TV-2 Nyhederne at 22:00 Hours (Denmark). Feb 12: New York Times, "A Secretive Country Gives Countries Few Clues to Judge Its Nuclear Program." Feb 8: R. Jeffrey Smith, Center for Public Integrity, "Obama administration embraces major new nuclear weapons cuts." Jan 26: PRESSTV (Iran), "Obama against chinese nuclear great wall." Jan 25: Discovery News, "3 Reasons N. Korea Can't Nuke the U.S. (Yet)." Jan 22: David Hoffman, Foreign Policy, "Is nuclear arms control dead?" Jan 18: Times of India (TNN), "Pakistan has world's fastest growing nuclear stockpile." Jan 17: Steven Pifer, "Nuclear Arms Control: Another New START," in Big Bets and Black Swans: A Presidential Briefing Brook, Brookings Institution, January 17, 2013. The chaprter uses FAS estimates in Trimming Nuclear Excess for U.S. and Russian nuclear forces. Jan 13: actualidad.rt.com (Russia Today in Spanish), "Pánico nuclear: EE.UU. busca neutralizar el revelado arsenal atómico de China." Jan 9: Financial Times, "The Price of Deterrence." The interactive graphics ("The Trident decision: Options for replacing Trident") uses FAS estimates for world nuclear forces from SIPRI Yearbook. Note: the estimates have since been updated here. Jan 6: Defense News, "New U.S. Law Seeks Answers on Chinese Nuke Tunnels." Dec 25: bloomberg.com (editorial), "Better Nuclear Bombs for a Safer World." Refers to my B61-12 blog as an example of "well meaning but misguided" arms control advocates. Dec 20: Jeffrey Lewis, armcsontrolwonk.com, "Subcritical Experiments." Dec 18: Global Security Newswire, "Russia, U.S. Slow Rate of Nuclear Drawdowns, Report Says." Dec 18: Independent European Daily Express (UK), "Rate of U.S., Russian Nuclear Disarmament 'slowing'." Dec 17: Washington Post, "How many nukes does it take to be safe?" Dec 14: freebeacon.com, "Number the Nukes." Dec 6: swissinfo.ch, "Swiss engange in UN disarmament effort." Nov: Ramy Srour, "Tactical Nuclear Weapons: B61 Bombs and US-Russian Relations," Instituto di Ricerche Internationazionali, Archivio Disarmo, November 2012. Nov 15: Global Secuity Newswire, "U.S. Should Seek Nuke Talks With China, Congressional Report Says." Nov 14: U.S.-China Economic and Security Review Commission, 2012 Report to Congress. Nov 13: Popular Mechanics, "What China's Nuclear Missile Subs Mean for the U.S."
Nov 13: Tom Z. Collina, Foreign Policy, "Red Balloon: Is China Inflating the China Threat." Nov 7: Dunya Buletini (Turkey), "Almanya'da ABD nükleer bombaları korkutuyor! [U.S. nuclear bomb scares in Germany]." Nov 6: MDR (Mitteldeutscher Rundfunk) FAKT (Germany), "US-Atombomben in Deutschland nicht brandsicher" [U.S. nuclear weapons in Germany not fireproof]. Direct link to television program. Oct: Frank Miller, "The Need for a Strong U.S. Deterrent in the 21st Century," The Submarine Industrial Base Council, n.d. .
Oct 22: politifact.com, "Mitt Romney says Pakistan is on path to overtake the U.S. in nuclear weapons." Oct 12: Steven Pifer and Michael O'Hanlon, The Opportunity: Next Steps in Reducing Nuclear Arms, Brookings Institution, October 12, 2012. Oct 14: Guardian (global security blog), "Cuba 50 years on - and the lessons for Iran." Oct 12: New Scientists, "Threatwatch: Can we really spot covert nuclear tests?" Oct 12: scienceblog.com, "New Weapons Detail Reveals True Depth of Cuban Missile Crisis." Oct 9: RIA Novosti, "NATO Members to Discuss Alliance's Nuclear Policy." Uses FAS estimate of U.S. nuclear weapons in Europe but doesn't credit. Oct 4: DiscoveryNews, "What's up with Israel's Nuke Program." October: Critical Nuclear Choices for the Next Administration, American Security Project, October 2012. Oct 3: Project on Government Secretary, "Inspector General Warns of Budget Overruns in Nuke Refurbishment." Oct 3: Voice of America (Moscow), "США и Россия раскрыли ядерные карты." Oct 2: Albuquerque Journal, "Report: Nuke Refurbishing Behind Scedule." Sep 25: Global Security Newswire, "Five Nations Believed to Hold Nonstrategic Nuclear Bombs, Experts Say." Sep 19: Discovery News, "What is mystery weapon from 1981?" Sep 16: Washingon Post, "The B61 bomb: A case study in costs and needs." Sep 13: Inside the Pentagon, "State Department's Draft Report on Nuclear-Arsenal Cuts Prompts Debate." Requires subscription. Sep 13: Global Security Newswire, "Seeking Kremlin Engagement, NATO Weighs Next Nuclear Posture Steps." Sep 12: Arms Control Now (Oliver Meier), "No german pledge on nuclear-capable aircraft modernization." Sep 7: Global Security Newswire, "Chinese Communist Newspaper Urges Bolstering Nuclear Deterrent." Sep 5: Foreign Policy (Tom Hundley), "Race to the End." Uses FAS estimate for the number of Chinese nuclear warheads but doesn't credit. Sep 5: Pakistan Tribune, "India far behind Pakistan, China in nuclear technology: experts." The article refers to our 2012 Nuclear Notebook on India but the headline hypes what we say in the article. Sep 4: India Today, "India's nuclear arsenal failed by 'unreliable' missiles." The article refers to our 2012 Nuclear Notebook on India but the headline is misleading for what we actually say in the article. Sep 3: Daily Mail Online (India), "India's nuclear arsenal failed by 'dud' missiles." The article refers to our 2012 Nuclear Notebook on India but the headline is misleading for what we actually say in the article. Aug 31: armscontrolwonk.com (Michael Krepon), "Worth the Wait." Aug 27: Foreign Policy (Stephen Walt), "Inflating the China Threat." Uses FAS estimate for the number of Chinese nuclear warheads but doesn't credit. Aug 23: Global Security Newswire, "U.S. General Discounts Projections of Massive Chinese Nuke Stockpile." Aug 23: Washington Free Beacon, "Chinese missile tests continue." Aug 22: Global Seurity Newswire, "Jury Out: Do Advanced Conventional Weapons Make Nuclear War More Likely?" Aug 19: Washington Post (editorial), "Exploding Costs." Aug 8: IDN-InDepthNews, "Halting Pakistan-India Nuclear Arms Race." Aug 6: Aviation Week & Space Technology, "Nuclear Bomb's Cost Increases Draw Congressional Scrutiny." Aug 3: Global Security Newswire, "Pentagon Official Blames U.S. Bomb Cost Hike on 'Incomplete' DOD Agency Estimate." Aug 3: China Brief (Jamestown Foundation), "Waypoint or Destination? The Jin-Class Submarine and China's Quest for Sea-Based Nuclear Deterrence." Aug 1: Global Security Newswire, "U.S. Senate Panel Curbs Navy Efforts to Add Missile to Attack Submarines." Jul 24: Economic Times (India), "India currently has 80 to 100 nuclear warheads: US esperts." Jul 11: huffingtonpost.com, "Los Alamos Underestimates Radiaiton Leak Risk." Jun 18: Washington Post blog, "West cuts nuclear warheads as it negotiates with Iran." Uses FAS estimates produced for SIPRI. Jun 14: Times of India, "PM takes stock of nuclear arsenal." Uses FAS estimates produced for SIPRI. Jun 6: Deuche Welle, "SIPRI report shows fewer - but newer - nuclear weapons.' Uses FAS estimates produced for SIPRI. Jun 6: William Hartung and Christine Anderson, Bombs Versus Budgets: Inside the Nuclear Weapons Lobby (Center for INtwernational Policy, June 2012). Jun 5: Press TV (India), "2200 nuclear weapons in state of high operational alert: Report." Jun 5: The Telegraph, "India and Pakistan 'escalate nuclear arms race'." Uses data from 2012 SIPRI Yearbook. Jun 4: Der Spiegel, "`Atomwaffen werden weniger - und moderner" [Fewer nuclear weapons - and more modern].Uses worldwide overview of nuclear forces from latest SIPRI yearbook. May 23: SES Turkey, "Turkey Supports Nuclear Status Quo in NATO." May 16: Der Spiegel, "US Nuclear Weapons Upgrades: Experts Report Massive Cost Increase." May 12: armscontrolwonk.com, Extending Deterrence from the Triad." May 11: Global Security Newswire, "B-61 Bomb Project Expense Projection Hits $6 Billion, Report Says,"
May 11: Miles Pomper, et al., "Delaying Decisions: NATO's Deterrence and Defense Posture Review," NTI, May 11, 2012. May: Ted Seay, "Escalation by Default: The Future of NATO Nuclear Weapons in Europe," European Leadership Network, May 2012. May 11: Global Security Newswire, "NATO Should Use Summit to Address U.S. Tactical Nukes in Europe, Experts Say." May 10: Global Security Newswire, "Cost Worries Could Derail Plan for Next Bomber to be Unmanned, General Says." May 10: Paul Kerr and Mary Beth Nikitin, Pakistan's Nuclear Weapons: Proliferation and Security Issues, Congressional Reserarch Service, May 10, 2012. May 8: David Hoffman, "The little nukes that got away - again," Foreign Policy. May 4: Haaretz (Israel), "Israel's atomic arsenal could fall victim to a new U.S. nuclear policy." May 4: defpro.daily, "Steps Needed to Break Stalemate on Non-Strategic Nuclear Weapons." May 4: Nato Watch, "Moving Beyond the NUclear tatus Quo in Europe." Apr: S. Samuel C. Rajiv, Deterrence in the Shadow of Terror: US Nuclear Policy in the Aftermath of 9/11, Institute for Defence Studies & Analysis (India). Apr 27: Saarländische Zeitung (online), Germany, "Atomwaffenexpert zu Besuch in Berlin." Apr 17: huffingtonpost.com, "ICBM Coalition Of Rural Senators Fights Nuclear Weapons Cuts." Apr: George Perkovich, et al., Looking Beyond the Chicago Summit: Nuclear Weapons in Europe and the Future of NATO, Carnegie Endowment, April 2012. Mar 27: huffingtonpost.com, "Barack Obama's Broken Nuclear Promises Undermine Success." Mar 26: BBC News, "Which countries have nuclear weapons." Mar 15: Jeffrey Lewis, armscontrolwonk.com, "Honest Johns in Korea." Mar 15: huffingtonpost.com, "Meet the Bangor 5." Feb: Toby Fenwick, Dropping the Bomb: a post Trident future, CentreForum, February 2012. Feb 27, Boston Globe, "Smart Nuclear Reduction," The opinion piece appears to rely on my blog about republican disarmers but it confuses warhead catories and the warhead numbers are off. Feb 22: Congressional Research Service, "U.S. Strategic Nuclear Forces: Background, Developments, and Issues," February 22, 2012. Feb 22: Bradenton Herald (McClatchy-Tribune News Service), "Just how many nuclear weapons should be enough?" Feb 18: National Public Radio (AP), "Boldest Nuclear Cutters Recently? It's Been GOP." Also carried in Seattle Times and Pakistan's Daily Times. Feb 17: James Traub, Foreign Policy, "Fumbling the Nuclear Football." Feb 15: Mother Jones, "Nuclear Weapons on a Highway Near You." Advised the magazine on locations on nuclear weapons and nuclear-powered naval vessels. Feb 14: Congressional Reseaech Service, Nonstrategic Nuclear Weapons, February 14, 2012. Feb 14: Associated Press, "AP NewsBreak: US weighing steep nuclear arms cuts." Feb 6: Adam Weinstein, Mother Jones, "Obama's Golden Nuclear Option." Feb: Addressing Nonstrategic Nuclear Forces, Euro-Atlantic Security Initiative, Carnegie Endowment, February 2010. Jan 29: Pervez Hoodbhoy, The Tribune (Pakistan), "Pakistan's rush for more bombs - why?" Jan 27: Global Security Newswire, "Pentagon Unveils New Plan for Conventional Submarine-Based Ballistic Missile." Jan 25: Voice of America, "Обама: политика экономики" [Obama: The Politics of Economics]. Jan 20: Arms Control Association panel, "Briefing on the Future of the U.S. Nuclear Arsenal: Issues and Policy Options." Jan 19: Stephen Pifer, "Nuclear Arms Control in 2012," Brookings Institution, January 2012. Jan 19: military.com, "New Strategy Could Presage Smaller US Nuclear Arsenal." Jan 18: U.S. Nuclear Weapons Complex: Energy Department Plans to Waste Billions of Dollars on Unneeded Los Alamos Lab Facility, Project on Government Oversight, January 18, 2012. Jan 16: Indian Express, "Nukes only for strategic purpose: Army chief." Jan 8: Seattle Times, "Plan for new Navy wharf at Bangor fires up nuke debate." Dec 20: Reuters, "Timeline on Iran bomb narrows, but barely." Dec 19: Washington Post, "Pyongyang's pursuit of nuclear weapons." The graphic, which accompanies this article, uses FAS estimates of worldwide nuclear weapons inventories. Dec 13: Vox Populi, "Professor's study on China's nuclear arsenal draws heated reaction." Dec 2: AFP, "US experts skeptical over China nucler force report." Nov 30: Washington Post, "Georgetown students shed light on China's tunnel system for nuclear weapons." Nov 30: Vatan (Turkey), "‘Türk nükleer bombaları’ Ceylan taşıyacak." Nov 28: Haberturk (Turkey), "Türkiye'deki nükleer silah sayısı azaldı" [Reduction of Nuclear Weapons in Turkey]. Nov 23: Washington Post, "Medvedev threatens to target US missile shield in Europe if no deal is reached." Nov 8: Global Security Newswire, "U.S. Blueprint for New Nuclear Arms Cuts Expected by Year's End." Nov 4: Fact Sheet: U.S. Nuclear Modernization Programs, Arms Control Association. Uses FAS estimate on U.S. nuclear force levels without giving credit. Nov 4: Global Security Newswire, "China Seen Deploying New Nuke-Ready Ballistic Missiles." Nov 4: Times of India, "Panic over China's four new nuclear missiles." Oct 30: Ian Kerns, Beyond the United Kingdom: Trends in the Other Nuclear Armed States, Discussion Paper 1 of the BASIC Trident Commission, October 30, 2011. Oct 28: Proceso (Mexico), "Estados Unidos: Adiós a la bomba B53" [United States: Good Bye to the B53 bomb]. Oct 28: Global Security Newswire, "Some Nuclear Experts Question Ramp-up in U.S. Tritium Production." Oct 27: Washington Post, "U.S. keeps major lead over Russia in nuclear weapons." Oct 26: Voice of America, "US-Russian nuclear surprises." Oct 26: Global Security Newswire, "U.S. Release New START Nuke Data." Oct 26: military.com (Associated Press), "Biggest US Nuclear Bomb Dismantled in Texas." Oct 26: USA Today, "U.S.-made 'monster' nuclear warhead B53 dismantled." Oct 25: National Public Radio, "Cold War Bomb to be Dismantled." Oct 25: Ekstra Bladet (Denmark), "Splitter verdens kraftigste atombombe ad" [Taking apart the world's largest nuclear bomb]. Oct 25: ABC News, "US dismantles last of big Cold War nuclear bombs." Oct 25: Fox News (Associated Press), "US's most powerful nuclear bomb being dismantled." Oct 25: AFP, "US dismantles last big Cold War nuclear bomb." Oct 25: San Francisco Chronicle (Associated Press), "US's most powerful nuclear bomb being dismantled." Oct 25: Daily Mail (UK). "Dismantling the mega-nuke." Oct: Fiona Cunningham and Rory Medcalf, The Dangers of Denial: Nuclear Weapons in China-India Relations, Lowy Institute, October 2011. Oct 24: Global Security Newswire, "U.S. to Finish Disassembling Massive Nukes." Oct 24: wired.com (Danger Room), "Last Nuclear 'Monster Weapon' Gets Dismantled." Oct 24: Wall Street Journal, "How many nukes does China have?" Oct 17: Global Security Newswire, "Experts Divided on Impact to U.S. of Russia, China Nuke Modernization." Oct 11: Huffington Post, "Global Zero Nuclear Summit Aims to Eliminate Nuclear Weapons Worldwide." 2011: Ola Dahlman, et al., Detect and Deter: Can Countries Verify the Nuclear Test Ban (New York: Springer, 2011). Oct 3: IDN-InDepthNews.info (India), "Nuke-Free World Optimism Fading Away." Sep 20: Albuquerque Journal, "Upgrading a Nuke With No Test Drive. Sep 20: Global Security Newswire, "Experts Question Indications of U.S. Nuclear "Hedge" Force Cuts. Sep 20: International Business Times, "China Launches Anti-Missile Military Weapon Raises Queries from Pentagon." Sep 16: Albuquerque Journal, "The more qwe change our stockpile, the less we know it. Sep 13: New Scientists, "Laser fusion trio team up to develop clean power." Sep: James Acton and Michael Gerson, Beyond New START: Advancing U.S. National Security Through Arms Control with Russia, Center for Strategic and International Studies, September 2011. Sep: Fissile Materials Working Group, interactive map. Uses estimates generated by FAS for world nuclear weapons arsenals and reproduced by the Ploughshares Fund and in the SIPRI Yearbook. Aug 23: Michael Krepon, armscontrolwonk.com, "Fail Safe." Aug: Oliver Meier, Revising NATO's Nuclear Posture: The Way Forward (ACA, BASIC, IFSH, August 2011). Aug 9: ABC Late NIght (Australia), interview on the occasion of Nagazaki Day. Aug 5: ABC One Plus One (Australia), interview on the occasion of Hiroshima Day. Aug 5: Lowy Institute (Australia), "5-minute Lowy Lunch: Obama's nukes." Aug 2: Dr. Phillip Karber, China's Underground Great Wall: Challenge for Nuclear Arms Control, Asia Arms Control Project, Georgetown University, August 2, 2011. Jul 28: Asian Scientist, "Report by Atomic Scientists Underscore Rise of Pakistan's Nuclear Program." Jul 20: Global Security Newswire, "Experts: NATO Should Limit Role of Nukes, Remove U.S. Warheads." Spring 2011: Pavel Podvig, Russia's Nuclear Forces: Between Disarmament and Modernization, IFRI, July 2011. Jul 8: Global Security Newswire, "Mullen: Pakistani Nuclear Controls Should Avert Any Insider Threat." Jul 7: DailyIndia.com (ANI), "'Politically Unstable' Pakistan has world's fastest-growing nuclear stockpile: Experts." Jul 1: Global Security Newswire, "Pakistan Seen as Having Fastest Expanding Nuke Stockpile." Jul 1: Indian Express, "Pak has fastest growing n-arsenal: US study." Jun: Joseph Cirincione, Strategic Turn: New U.S. and Russian Views on Nuclear Weapons, New America Foundation, June 2011. Jun 29: CNN (Situation Room), "Iran Testing Potential Nuclear Missile?" Jun 28: Andrew Cottey, Multilaterizing Nuclear Arms Control: An Agenda for the P5, BASIC, June 28, 2011. Jun 25: Scientific American, "Is Karazai's Accusation that Coalition Forces are Polluting Afghanistan with Nuclear Material Accurate or an Over-Reaction?" Jun 20: Ariel Cohen, et al., "Reset Regret: Obama's Cols War-Style Arms Control Undermines U.S.-Ruissian Relations," Heritage Foundation. Uses but misrepresents our estimate from January 2010 of Russian nuclear forces by suggesting, which we don't, that Russia has nuclear artillery shells and and nuclear land mines. Our 2011 estimate is available here. Jun: Bruce Blair and Matthew Brown, World Spending on Nuclear Weapons Surpasses $1 Trillion Per Decade, Nuclear Weapons Cost Study, Global Zero Technical Report, June 2011. Jun 16: Global Security Newswire, "U.S. Nuke Overhaul Seen Adding New Abilities." Jun 16: inosmi.ru (Bloomberg), " Модернизация ядерных бомб может разозлить Россию [Modernization of nuclear bomb may irritate Russia]." Jun 15: Bloomberg, "Nuclear Bomb Overhaul May Counter Obama Pledge, Anger Russia." June: Shaun Gregory, "Terrorist Tactics in Pakistan Threaten Nuclear Weapons Safety," in CTC Sentinel, Vol. 4, Issue 6, pp. 4-7. Jun 8: The Australian, "South Asia nuclear weapons race hots up." Jun 7: livemint.com (Wall Street Journal), "India, Pakistan continue to build nuclear weapons capacity: report." Uses data from new SIPRI Yearbook. Jun 3: Voice of Russia, "START-3 Interim Report." Summer 2011: Col David J. Baylor, USAF, "Considerations for a US Nuclear Force Structure below a 1,000-Warhead Limit," Strategic Studies Quarterly, Summer 2011, Vol. 5, No. 2, Air University, Maxwell Air Force Base, AL. Jun 1: Global Security Newswire, "Pakistan Seen Readying to Cross Nuclear Threshold." May 29: Times of India, "Short-range nukes show Pak targeting Indian forces: Expert." May 27: Baker Spring and Ariel Cohen, Beware the Next U.S.-Russian Arms Control Treaty, Heritage Foundation, May 27, 2011. May 24: India Today, "How safe is Pak nuclear arsenal?" May 21: The Sydney Morning Herald, "India may axpand nuclear program, says top adviser." Uses FAS/NRDC estimate of Indian nuclear stockpile but without credits. May 20: National Journal, "U.S. Nuclear Agency Releases Strategic Plan for Next Decade." May 19: Global Security Newswire, "Former officials call for U.S., Russian nuclear transparency." May 16: Gregory Kulacki, China's Nuclear Arsenal: Status and Evolution, Union of Concerned Scientists, allthingsnuclear.org. May 15: Newsweek, "Pakistan's Nucear Surge." May 8, Times of India, "China least potent among N-powers, says Harvard study." Uses but does not credit FAS/NRDC estimate of Chinese nuclear arsenal. May 5: Reuters, "Analysis: Count bin Laden have Reached Pakistan Nuclear Sites?" May 4: U.S. Strategic Nucler Forces: Background, Developments and Issues, Congressional Research Service, May 4, 2011. Apr: Steven Pifer, The United States, NATO's Strategic Concept, and Nuclear Issues, ACA/BASIC/IFSH, April 2011. Apr: Mustafa Kibaroglu, Turkey, NATO & Nuclear Sharing: Prospects After NATO's Lisbon Summit, ACA/BASIC/IFSH, April 2011. Apr 26: Time Magazine Battleland Blog, "NATO's Nuclear Weapons: Here to Stay." Apr 7: Gobal Security Newswire, U.S. Nuke Technology to Make British Trident Missile More Accurate." The article makes use of, but doesn't credit, information first published on the FAS Strategic Security Blog. Apr 6: Guardian, "Trident more effective with US arming device, tests suggest." The article makes use of, but doesn't credit, information first published on the FAS Strategic Security Blog. Apr 2: Julian Borger's Global Security Blog (The Guardian), "'Destabilizing' Trident warhead already being tested in US,"
Mar: Alexei Arbatov, Gambit or Endgame? The New State of Arms Control, Carnegie Endowment, Moscow, March 2011. Mar: James Acton, Low Numbers: A Ptractical Path to Deep Nuclear Reductions, Carnegie Endowment, Washington, D.C., March 2011. Mar 31: Defence Professionals, "Report: What NATO Countries Think About Tactical Nukes." Feb: Fredrik Lindvall, et al., The Baltic Approach: A Next Step? Prospects for an Arms Control Regime for Sub-strategic Nuclear Weapons in Europe, Swedish Defence Research Agency (FOI), February 2011. Feb 21: Andrei Zargorski, Russian Tactical Nuclear Weapons: Posture, Politics and Arms Control, Institute for Peace Research and Security Policy, University of Hamburg, February 2011. Feb 19: Korea Joongang Daily, "U.S. has plan to hit WMD in north." The article in several places misrepresents my 2009 report Obama and the Nuclear War Plan. Feb 10: Associated Press, "Expert: Pakistan building 4th plutonium reactor." Feb 7: AFP, "Russia rebuffs U.S. call for quick arms talk." Includes grap using FAS/NRDC estimates, but confuses "stockpiled" and "deployed" number of weapons. Feb 4: Global Security Newswire, "U.S. Navy Rejected Key Command's Specs for Next Nuclear-Armed Vessel." Feb 2: Nonstrategic Nuclear Weapons, Congressional Research Service. Feb 1: The Times of India, "At 100, Pak ahead in N-arsenal." Jan 31: Voice of America, "Report Says Pakistan's Nuclear Arsenal Tops 100." Jan 30: Washington Post, "Pakistan doubles its nuclear arsenal." Jan 19: AFP, "Russian puts brakes on further nuclear cutbacks." Jan 16: Global Security Newswire, "Tactical Nukes in Europe a 'Tiny Fraction" of Cold War Arsenal, Report Says." Jan 14: Global Security Newswire, "Top Diplomat Says Arms Control Revived After New START Passage." Jan 12: Associated Press, "Gates gets tour of Chinese nuclear base." Jan 6: Global Security Newswire, "China Reaffirms 'No First Use' Nuke Role." Dec 29: Global Fissile Material Report 2010: Balancing the Books, International Panel on Fissile Materials. Dec 25: Washington Post, "Military strength eludes China, which looks overseas for arms." Dec 22, monstersandcritics.com (DPA), "Analysis: New START offers 'modest' nuclear reductions." Dec 22: New York Times, "Senate Works on Treaty Amendments to Draw G.O.P. Votes." Dec 22, Washington Post, "Senate poised to ratify new U.S.-Russia nuclear weapons treaty; vote would be major foreign-policy victory for Obama" (uses FAS/NRDC estimates in graph). Dec 22: Wall Street Journal, "Nuclear Arms Pact is Poised to Pass." Dec 21: New York Times, "Arms Treaty With Russia Headed to Ratification." Dec 21: Global Security Newswire, "Navy Said Likely to Back New Design for Ballistic Missile Submarine." Dec 20: Miami Herald (McClatchy Newspapers), "McConnell slams START, but facts don't back him up." Dec 19: Senator John Kerry, Senate Foreign Relations Committee hearing on New START. Uses FAS/NRDC estimates of Russian nonstrategic nuclear weapons. Dec 16: redorbit.com, "Federation of American Scientists Urges Nuclear Weapons Treaty Before New Year." Dec 15: Senator Dianne Feinstein, "New START Treaty," Congressional Record. Dec 9, Bob Alvarez, The Huffington Post, "Time for Nuclear Savings Bonds?" Dec 1: CNN, "WikiLeaks: Heated debate in Germany over nuclear weapons on its soil." Dec: Michael Izbicki (ENS, USN), "What's Wrong with America's Nuclear Hawks?," Strategic Studies Quarterly, Winter 2010, Vol. 4, No. 4, pp. 134-143. Nov 30: Voice of America (Russia), "Гонка вооружений: старая угроза на новый лад [The arms race: the old threat in a new way]." Nov 27: Kitsap Sun, "Navy's Trident Nuclear Warheads Hit the Highway, Bound for Texas." Nov 26: Information (Denmark), "Obama må begrave sin vision om en atomvåbenfri verden" [Obama must bury his vision of a nuclear free world]. Nov 24: Global Security Newswire, "NATO Sets Basis for Tactical Nuclear Cutbacks, But Path Remains Uncertain." Nov 21: Julian Borger's Global Security Blog, The Guardian, "NATO's tactical nuclear weapons: the new doctrine." Nov 20, Senator Dianne Feinstein, Los Angeles Times, "Indefensible." Nov 19, New York Times, "Cost and Goals at Center of Arms Treaty Debate." Nov 19: James Traub, Foreign Affairs, "The Bomb Squad." Nov 11: The Economist, "Fewer dragons, more snakes." Nov 11: A. H. Nayyar and Zia Mian, The Limited Military Utility of Pakistan's Battlefield Use of Nuclear Weapons in Response to Large Scale Indian Conventional Attack, Pakistan Security Research Unit (PSRU), Brief NUmber 61, November 11, 2011. Nov 10: David Hoffman, Foreign Affairs, "The Nuclear Excess." Nov: Micah Zenco, Toward Deeper Reductions in U.S. and Russian Nuclear Weapons (Council on Foreign Relations, November 2010). Nov: Jeffrey Lewis, Managing the Dangers from Pakistan's Nuclear Stockpile (New America Foundation, November 2010). Oct 28: Russia Today, "Oops! US Air Force Looses 50 Nukes." Oct 28: USA Today, "'Glitch' took US nuclear missiles offline." Oct 14: The Guardian, "Germany demands Nato show greater commitment to nuclear disarmament." Uses FAS/NRDC estimate for U.S. nuclear weapons in Europe without credits. Oct 12: Global Security Newswire, "NATO Defense, Diplomatic Chiefs to Mull Strategy Document." Oct 10: The Telegraph, "Pakistan's nuclear arms push angers America." Oct 7: Time Magazine, "NATO Ponders What to Do with Its Nuclear Weapons." Sep 30: Global Security Newswire, "U.S. May Disable Some Submarine-Based Nuclear Arms Capacity." Sep 27: Global Security Newswire, "Proposed Ballistic-Missile Submarine Nears Pentagon Review." Sep 27: Fred Kaplan, Time Magazine, "No More Nukes?" Sep 22: Global Security Newswire, "Senate Panel Again Cuts Funds for Conventional Trident Missile." Sep 14: Global Security Newswire, "NNSA Chief Sees Opportunity, Challenge in Merging Two Warhead Updates." Sep 1: Bruce Blair, et al., "Smaller and Safer: A New Plan for Nuclear Postures," Foreign Affairs, Technical Appendix, September 1, 2010, p. 56. Aug 26: Steven Andreasen, Malcolm Chalmers and Isabelle Williams, "NATO and Nuclear Weapons: Is a New Consensus Possible?," RUSI, August 24, 2010. Aug 26: Jacob Kipp, "Russian Drivers of Russia's Nuclear Force Posture," NPEC, August 26, 2010. Aug: Samuel Black, "The Changing Political Utility of Nuclear Weapons: Nuclear Threats from 1970 to 2010," Stimson Center, August 2010. Aug 17: Global Security Newswire, "Nations Look Increasingly to U.S. Conventional Forces for Deterrence." Aug 10: Global Security Newswire, "Future Navy Submarine to Stick With Nuclear Mission." Aug 8: Times of India, "India lags behind Pakistan in nuclear armoury: US expert." Aug 6: Moeed Yusuf and Ashley Pandya, The Quest for Nuclear Disarmament in South Asia: A Reality Check, United States Institute for Peace, August 6, 2010. Aug 2: Times of India (TNN), "Pak has as much fissile material as India: Report." Jul 30: Time, "Britain Takes Another Look at Its Nuclear Subs." Jul 16: Jane's Defence Weekly, "US nuclear stewardship plan could herald stockpile reduction." Jul 15: Washington Post, "Obama plan outlines reductions in U.S. nuclear arsenal." Jul 15: Los Angeles Times, "U.S. plans to increase nuclear spending." Jul 15: China Post (Taiwan), "Obama plans to cut up to 40 percent of nukes in U.S."
Jul 14, Baltimore Sun Blog, "Even as Obama plan reduces nuclear arsenal, overall spending increases." Jul 14: CSIS poniblogger's blog, "Obama Administration's Stockpile Stewardship Management Plan Details Stockpile Cuts, Infrastructure Investments." Jul 13: Associated Press, "Obama plans to cut up to 40 percent of nukes." Jul 13: Wired News, "Fewer Nukes, More Cash: Energy Dep’t Wants $175 Billion for Weapons Complex." Jul 13: UPI, "DOE plan to cut nuke weapons by 40 percent." Jul 10: S D Pradhan, Times of India, "Growing Chinese Nuclear Power." Jun 29: Discovery News, "Recycles Missiles Tapped to Launch Satellites." Spring: Jing-dong Yuan, Chinese Perceptions of the Utility of Nuclear Weapons: Prospects and Potential Problems in Disarmament (French Institute for Interntional Relations (IFRI), Spring 2010). Jun: Mustafa Kibaroglu, "Reassessing the Role of U.S. Nuclear Weapons in Turkey," Arms Control Today, June 2010. Jun 13: Associated Press, "Air Force nuclear squadron in NM passes inspection." Jun 3: The Times of India, "Pakistan's nuke arsenal bigger than India's." Jun 3: Strategic Security Newswire, "Eight Nations Hold 7,540 Deployed Nukes, Report Finds." May: Reducing and Eliminating Nuclear Weapons: Country Perspectives on the Challenges to Nuclear Disarmament (New Jersey: Princeton University, International Panel on Fissile Materials, May 2010). May 18: Global Security Newswire (Albuquerque Journal), NNSA Seeks $40M for Nuke Refurbishment Study." May 12: Reuters, "Russia says may lift veil on nuclear arsenal." May 10: Guardian (Associated Press), "Outdated, unwanted, US nuke hang on in Europe." The article extensively relies on FAS/NRDC estimates but without giving credit. May 5: Associated Press, "Private sleuths once pierced nuclear veil." May 5: Global Security Newswire, "Russia Seen Under Pressure to Disclose Arsenal Details." May 4: Science Magazine, "U.S. Reveals 5113 Nukes in Stockpile, Estimate by 'Nuclear Geek' Was Off by Only 87." May 4: The Guardian (Jualian Borger's Global Security Blog), "Coming clean on nuclear weapons." May 4: Bloomberg Businessweek, "Iran Faces Pressure to Prove Peaceful Aims of Nuclear Program." May 4: Los Angeles Times, "U.S. discloses size of nuclear arsenal." May 3: New York Times, "Europe Lacks Plan on Nuclear Arms." Uses FAS/NRDC estimate for U.S. nuclear weapons in Europe but without giving credit. May 4: Washington Post (AP), "US says it has 5,113 nuclear warheads." May: Tara McKelvey, Boston Review, "A New Start: Prospects for Obama's 'Global Zero'." Apr 29: Periodismo Humano (Spain), "EEUU guarda en Europa 200 bombas atómicas." Apr 28: David Hoffman, Foreign Policy, "Obama's Atomic Choices." Uses FAS/NRDC estimate for U.S. non-deployed nuclear weapons, but without giving credit. Apr 26: Lt. Col. Michael Byrne, CDR Douglas Edson and Lt. Col. Andrea Hlosek, American Diplomacy, "A Nuclear Weapons Free NATO." Apr 25: Daily Kos, "No "Reset Button" for Tactical Nuclear Weapons." Apr 23; Washington Post, "NATO seeks limits on plan for nuclear disarmament." Apr 22: New York Times, "U.S. Resists Push by Allies for Tactical Nuclear Cuts." Apr 22: Washington Post, "NATO ministers want disarmament, within limits." Apr 22: Global Security Newswire, "U.S. Urged to Remove Tactical Nukes in Europe." Uses FAS/NRDC estimate for U.S. nuclear weapons in Europe but without giving credit. Apr 22, Assocated Press, "Clinton reaffirms US commitment to defend Europe." Uses FAS/NRDC estimate for U.S. nuclear weapons in Europe but without giving credit. Apr 22: Washington Post, "NATO ministers to discuss U.S. nuclear arms." Uses FAS/NRDC estimate for U.S. nuclear weapons in Europe but without giving credit. Apr: KLS Review (Malaysia), three interviews relating to China, April 2010. Requires subscription. Apr: Matthew Bunn, Securing the Bomb 2010, Project on Managing the Atom, April 2010. Apr 15: Dallas News, "Arms treaty to bring more work Pantex's way." Apr 15: Julien Mercille, Asia Times Online, "New treaty is a slow start." Apr 14: Russia Today, "Keeping Pandora’s box shut." Apr 13: Russia Today, "Nuclear summit addresses a post-Cold War world." Apr 13: U.S. News & World Report, "A Change for U.S. Nuclear Strategy: Hans Kristensen on nuclear war planning and non-proliferation." Apr 13: CNN Newsroom, 9 AM EST, Nuclear Summit coverage. Uses FAS map for estimated locations of nuclear weapons. Apr 13: Global Security Newswire, "Norway, Poland Urge Talks on Tactical Nukes in Europe." Apr 13: Focus Online (Germany), "In Deutschland gelagerte US-Atombomben rücken in Blickpunkt." Uses FAS/NRDC estimates for U.S. nuclear weapons in Europe but apparently without giving credit. Apr 12: CNN The Situation Room, "President Obama Holds Nuke Summit." Uses FAS/NRDC estimated for world nuclear weapons. Apr 12: Globe and Mail (Canada), "Q&A: Hans Kristensen, nuclear arms expert." Apr 12: Discovery News, "Nuclear Summit 2010: It's Kind of a Big Deal." Apr 11: David Hoffman, Washington Post, "Despite new START, the U.S. and Russia still have too many nuclear weapons." Apr 10: Yonhap News Agency (South Korea), "N. Korea has up to 6 nuclear weapons: Clinton." For our actual weapons estimates, go here. Apr 8: Jonathan Shell, CNN, "Nuclear balance of terror must end." Apr 8: NATO Parliamentary Assembly, U.S.. Non-Strategic Nuclear Weapons in Europe: A Fundamental NATO Debate, April 8, 2010. Apr 8: New York Times, "With Arms Pact, Disarmament Challenge Remains." Uses FAS/NRDC estimates for warhead levels. Apr 8: Associated Press: "Nuclear treaty would cut only long-range arms." Uses FAS/NRDC estimates for warhead levels. Apr 7: physicstoday.org, "Obama's nuclear posture review." Apr 7: Washington Post, "New nuclear arms policy shows limits U.S. faces." Apr 7: Time, "Obama's Nuclear Strategy: What's Different?" Apr 6: Globe and Mail (Canada), "Obama’s new nuclear strategy maintains first-strike option." Apr 1: Air Force Times, "New treaty could trim nuclear role of bombers." Mar: Union of Concerned Scientists, "New Strategic Arms Reduction Treaty Factsheet." Mar 30: New York Times, "Arms Control May Be Different Things on Paper and on the Ground." Mar 30: Time Magazine, "U.S.-Russia Nuke Treaty: Small Step on a Long Road." Mar 29: Global Security Newswire, "China Weighs Engaging With U.S. on Nuclear Posture." Mar 27: Washington Post, "U.S., Russia agree to nuclear arms control treaty." Mar 26: Politico (in frederiksburg.com), "Lab chiefs share nuke safety doubts." Mar 26: Los Angeles Times, "Russian, US presidents to finalize arms treaty, set date for signin." Mar 25: New York Times, "Treaty Advances Obama’s Nuclear Vision." Mar 25: Associated Press, "Treaty to cut US-Russia nukes; signing in 2 weeks." Mar 24: Russia Today (The Alyona Show), "A New START." Mar 22: Asian Tribune, "Pakistan lobbying hard for n-deal akin to India-US pact." Mar: Gregory Kulacki, Japan and America's Nuclear Posture, Union of Concerned Scientists, March 2010. Mar 22: Interfax (Russia), ""Если договор СНВ не будет подписан до мая, это станет плохим сигналом." A not very good Google translation is here. Mar 20: ABC News, "What's the Point of Nuclear Weapons on Instant Alert?" Mar 18: Breitbart (Kyodo News), "U.S. Air Force includes frozen nuke project in draft FY2011 budget+." Mar: Malcolm Calmers and Simon Lunn, NATO's Tactical Nuclear Dilemma, Royal United Services Institute, March 2010. Mar 15: Der Spiegel Online, "Washington Mulls Modernization of Aging Bombs." Mar 14: armscontrolwonk.com, "NATO's Nuclear Opacity." Mar 14: Associated Press, "US cautious on removing nuclear arms from Europe." Mar 12: Mark Stokes, China's Nuclear Warhead Stoage and Handling System, Project 2049 Institute, March 12, 2010. Mar 11: National Public Radio, All Things Considered, "Japan Confirms Secret Nuclear Pacts With U.S."
Mar 11: Global Security Newswire, "China Seen Building Long-Range Missiles for Conventional Strikes." Mar 11: Space War (AFP), "Top campaigner scoffs at Euro noises on US nukes." Uses FAS/NRDC estimates for U.S. nuclear weapons in Europe and size of global arsenal, but without giving credit. Mar 9: Global Security Newswire, "Pentagon Eyes More Than $800 Million for New Nuclear Cruise Missile." Mar 6: Washington Post, "Obama must decide degree to which U.S. swears off nuclear weapons." Mar 3: Sydney Morning Herald (AFP), "US nuclear arms treaty stalls over Russian demands." Uses FAS/NRDC estimates for U.S. nuclear forces, but without giving credit. Mar 3: Stars and Stripes, "NATO allies want U.S. nuclear weapons out of Europe." Mar 3: Globe and Mail, "Nuclear cuts, yes, but still plenty of U.S. bombs." Mar: Daryl Kimball, Arms Control Association, "Elimate NATO's Nuclear Relics," Arms Control Today, March 2010" Uses FAS/NRDC estimates for U.S. nuclear weapons in Europe, but without giving credit. Mar 2: Space War (AFP), "Five NATO nations call for nuclear rethink." Uses earlier FAS/NRDC estimate for U.S. nuclear weapons in Europe, but without giving credit. Mar 2: Russia Today, "US reducing nukes, arsenal to remain strong." Mar 2: Johan Bergenäs, World Politics Review, "Bombs Away: Removing Tactical Nukes from Europe." Uses FAS/NRDC estimate for US nuclear weapons in Europe but without giving credit. Mar 1: Global Security Newswire, "Obama Team Might Speed Up Disassembly of Older Nuclear Warheads." Mar 1: AFP, "Obama plans 'dramatic reductions' in US nuclear weapons." Mar 1: Adam B. Lowther, Air Force Research Institute, "Should the United States Maintain the Nuclear Triad?," Air & Space Power Journal, March 1, 2010. Feb: Christopher A. Preble, From Triad to Dyad, Nuclear Proliferation Update, Cato Institute, February 2010. Uses FAS/NRDC estimate for U.S. nuclear warheads but without giving credit. Feb: NATO's Nuclear Deterrent and its Relevance in the 21st Century, NATO Defence College, Senior Course 115, February 2010. Feb 28: The Guardian/Observer, "Barack Obama orders new nuclear review amid growing feud." Uses FAS/NRDC estimate for US nuclear weapons in Europe without giving credits. Feb 27: FUTUR QUANTIQUE (France), "Des missiles de croisière nucléaires destinés à qui?" Feb 25: Der Spiegel Online, "German Foreign Minister Pushes for NATO Nuclear Drawdown." Uses FAS/NRDC estimate for US nuclear weapons deployed in Europe without giving credits. Feb 25: The Cable (Foreign Policy), "Nuclear Posture Review delayed until mid to late March." Feb 25: Pavel Podvig, Bulletin of the Atomic Scientists, "What to do about tactical nuclear weapons." Feb 22: The Guardian, "Five Nato states to urge removal of US nuclear arms in Europe." Uses FAS/NRDC estimate for nuclear weapons in Europe, but without credits. Feb 22, Global Security Newswire, "Nuclear Agency Officials Defend Rate of Warhead Dismantlement." Feb 22: Greg Thielmann, Arms Control Association, "New START Verification: Fitting the Means to the Ends." Feb 20: AFP, "Allied bid for Obama to remove US European nuclear stockpil." Uses FAS/NRDC estimate for nuclear weapons in Europe but doesn't credit. Feb 17: Global Security Newswire, "Peace Activists Trespass at Belgian Base Housing U.S. Nukes." Feb 16: Der Spiegel, "Ex-NATO Head Robertson Skeptical of Removing Nukes from Germany." The article as well as Mr. Robertson uses FAS/NRDC estimates for the number of U.S. nuclear weapons in Europe and for Russian non-strategic weapons. Feb 15: James Carroll, The Boston Globe, "Nuclear sites vulnerable to break-ins." Feb 11: Los Angeles Times (AP), "Official: Problems at Air Force nuclear weapons site in New Mexico were administrative." Feb 10: Washington Post (AP), "Air Force decertifies nuclear warheads unit in NM." Feb 10: Los Angeles Times (AP), "Squadron that handles nuclear warheads at New Mexico base is decertified by Air Force." Feb 10, David J. Baylor, Lt Col, USAF, Considerations for U.S. Nuclear Force Structure Below a 1,000 Warhead Limit (Alabama: Air War College, Air University, February 10, 2010). Feb 9: Inside Defense, "Defense Officials Defer To NATO On Fate of U.S. Nuclear Arms in Europe." Requires subscription. Feb 8: Franklin Miller, et al., Germany Opens Pandora's Box, Centre for European Reform, February 8, 2009. Feb 8: Inside the Air Force, "Kirtland AFB unit loses nuclear mission. Feb 4: AOL News, "Belgian Activists Breach Security Around US Nukes." Feb 4, RTBF (Belgium), "Des pacifistes filment leur incursion à Kleine Brogel." Feb 4: De Morgen (Belgium), "Bomspotters op Kleine-Brogel filmden inval." Feb 3: Washington Post, "Obama budget seeks 13.4 percent increase for National Nuclear Security Administration." Feb 2: Carl Bildt and Radek Sikorski, New York Times/International Herald Tribune, "Next, the Tactical Nukes." Uses FAS/NRDC estimates for non-strategic nuclear weapons. Jan: Simon Saradzhyan, Russia's Non-Strategic Nuclear Weapons in Their Current Configuration and Posture: A Strategic Asset or Liability? (Belfer Center for Science and International Affairs, December 2010). Jan 25: Global Security Newswire, "U.S. Should Embrace Using Nukes for Nuclear Threat Only, Experts Say." Jan 19: Global Security Newswire, "Nuclear Bomb Update Effort Slowed by Posture Review, Science Studies." Jan 18: Air Force Times, "Report backs end of bombers’ nuclear role." Jan 13: Taiwan News, "China says missile defense system test successful." Jan 12: The Telegraph, "China tests new technology to shoot down missiles in mid-air." Jan 12: The Guardian, "China 'successfully tests missile interceptor. Jan 12: Time (AP), "China: Missile Defense System Test Successful." Jan 7: Global Security Newswire, "U.S., British Might Share Firing Device to Update Nuclear Arms." Jan 7: Time Magazine, "Obama's Nuclear Arms Pledge Hits Stumbling Block." Jan 4: Los Angeles. "Obama's nuclear-free vision mired in debate." Uses FAS/NRDC estimates for US nuclear arsenal and deployment in Europe without credts. Fall: Dennis Gormley, MIIS, The Path to Deep Nuclear Reductions. Dealing with American Conventional Superiority, Institut Français des Relations Internationales, fall 2009. Dec: Eliminating Nuclear Threats: A Practical Agenda for Global Policymakers, International Commission on Nuclear Non-proliferation and Disarmament. Widely uses FAS/NRDC estimates for strategic and non-strategic warhead numbers. Dec 27: Chicago Tribune, "Obama's Nuke-Free Vision Drawing Fire." Uses FAS/NRDC estimate for US nuclear arsenal without credits. Dec 22: Greg Thielmann with Luke Champlia, Arms Control Association, "Dealing With Long-Range Missile Threats: It’s All About Russia." Dec 18: Russian Today, "Nuclear limbo? No new START." Dec: Dana J. Johnson, et al., Triad, Dyad, Monad? Shaping the U.S. Nuclear Force for the Future, Mitchell Institute for Airpower Studies. Dec 11: arstechnica.com, "Google opens satellite images, tools, to study deforestation." Dec 7: Yonhap News Agency (South Korea), "N. Korea not yet developed nuke delivery system: expert." Dec 2: Time.com, "What to Do About Europe's Secret Nukes." Dec: James Acton, "Extended Deterrence and Communicating Resolve," in Strategic Insights, Volume VIII, Issue 5, Naval Postgraduate School, December 2009. Nov 30: Defense News, "China's Subs Getting Quieter: But Still Louder Than Older Russian Submarines." Nov 30: Global Security Newswire, "South Korean President Proposes Nuclear Summit With Kim Jong Il." Nov 27: The Malaysian Insider, "The ‘secret’ US-Japan pact with loaded content." Nov 23: Bob Van Der Zwaan and Tom Sauer, Bulletin of the Atomic Scientists, "Time to reconsider U.S. nuclear weapons in Europe." Uses FAS/NRDC estimates for US nuclear weapons in Europe without credit, and misrepresents data. Nov 23: Alexandra Bell and Benjamin Loehrke, Bulletin of the Atomic Scientists, "The status of U.S. nuclear weapons in Turkey." Nov 17: The Faster Insider, "How Nukes Are Like Toys Still in Their Box on ‘Antiques Roadshow’." Nov 24, armscontrolwonk.com, "China's Noisy New Boomer." Nov 23: Reuters, "U.S., Russia study ways to extend START verification." Nov 23: Kyodo News (Japan), "Japan lobbied for robust nuclear umbrella before power shift." Nov 22: Daily Kos, "Playing Chess With Russia: An Update on the New START Agreement." Nov 17: RTT News (India), "Pakistan Possesses More Nuclear Weapons Than India: Report." Nov 16: Army Times, "237 nuke handling deficiencies cited since 2001." Nov 16: Global Security Newswire, "Russia, U.S. Expect New Nuke Treaty in December." Nov 14: Russia Today, "'Deep nuke cuts impossible unless other nuclear states join US and Russia'." Nov 13: Washington Post, "A nuclear power's act of proliferation." Nov 10: Russia Today, "'Russian and US both have huge interest in signaling the Cold War is over'." Nov 7: Asahi Shimbun, "Japan in call to U.S. to retain nukes." Nov 6: The Guardian, "Germans press for removal of US nuclear weapons in Europe." The article cites FAS research on the U.S. nuclear deployment in Europe, but without credits. Nov 4: Global Security Newswire, "Multilateral Input Needed on German Plan for U.S. Nukes, NATO Head Says." Nov: Masa Takubo, Arms Control Today, "The Role of Nuclear Weapons: Japan, the U.S., and 'Sole Purpose'"
Fall: Michael Krepon, The French Institute of International Relations, "Numerology in the Second Nuclear Age." Oct 29: International Panel on Fissile Materials, "Global Fissile Material Report 2009." FAS and NRDC produced the worldwide list of nuclear weapons storage locations. An inventory narrative from the report is here. Oct 28: Russia Today, "US will welcome request to withdraw nukes from Germany." Oct 28: New York Times, "Ridding Germany of U.S. Nuclear Weapon." The article unfurtunately lists the number of nuclear bombs in Europe as 480 bombs (the number in 2001), instead of the current number of approximately 200. Oct 25: Deutche Welle, "Experts support Westerwelle's quest to rid Germany of US nuclear arms." Oct 23: Associated Press, "Pakistan: Bomber kills 7 near military complex." Oct 22: defence.professionals (Germany), "New German administration likely to ask US to remove remaining nuclear weapons from Germany." Oct 20, Global Security Newswire, "Russia, U.S. Urged to Address Nuclear Alert Postures." Oct 20: Washington Post, "Lowering the alert levels in U.S. and Russia." Oct 17: German Times, "Forgotten Bombs." Oct 13: Huffington Post (Joe Cirincione), "Will Japan Go Nuclear?" Oct 12: India Daily, "Will Israel and India allow unsecured Pakistani nukes in the wake of audacious weekend assault by Islamic militants on Pakistan's army headquarters?" Oct 12: Associated Press, "Security of Pakistan nuclear weapons questioned." Oct 7: Mitsuo Takai, UPI Asia, "U.S.-China nuclear strikes would spell doomsday." Oct 1: Global Security Newswire, "U.S. Sea-Based Missiles Seen as "Core" Nukes, Maybe at ICBM Expense." Oct: Catherine M. Kelleher and Scott L. Warren, Arms Control Today, "Getting to Zero Starts Here: Tactical Nuclear Weapons." Sep 25: China Daily, "Nuke-free world urged." Sep 22: Live Science, "Why It's So Hard to Make Nuclear Weapons." Sep 21: Associated Press (Beijing), "China says military arsenal comparable with West." Sep 14: Outlook India, "'Not A Fizzle, But Certainly Not What India Claims'." Sep 11: Yonhap News (South Korea), "N. Korea appears to have 10 nuclear warheads: report." The article headline misrepresents our estimate. Sep 9: The Canberra Times, "Folly in India's nuclear ways." Sep 8: New York Times, "Pentagon Checks Arsenal in Race for Nuclear Treaty." Sep 8: Global Security Newswire, "Pakistan Seeks Additional Nuclear-Weapon Capabilities, Analysts Assert." Sep 6: Times of India, "May have to revisit nuclear no-first use policy: Army chief." Sep 4: UPI, "Pakistan denies nuclear arsenal claim." Sep 3: The Telegraph (UK), "Pakistan 'developing' advanced nuclear technology." Sep 2: DNAIndia (PTI), "Army chief says Pakistan going 'beyond nuclear deterrence'." Sep 2: TimesNow.tv (India), "Army chief slams Pak for 'secret nuclear expansion'." Video of Indian Army chief statement here. Sep 2: Economic Times (India), "'Pak busy increasing nuke stockpile'." Sep 2: TimesNow.tv (India), "Debate: How should we respond to Pak's nuclearisation?" (includes lengthy TV debate). Sep 1: India Today, "Pak nuclear storage site on satellite map." Sep 1: Deccan Herald (Indian), "'Pak enhancing its nuclear weapons capabilities'." Sep 1: Times of India, "Pak's 'India specific' nuke arsenal exposed." Sep 1: IBN (India), "Pak increasing nuclear weapons: US scientist." Sep: Sekai Magazine (Japan), "被爆国日本は核軍縮の足かせとなるのか." Sep: Paul Schulte, "Alliance Requirements for Deterrence: Capabilities and Options for the Next Decade," Strategic Insights, Volume VIII, Issue 4, Monterey Postgratuate School, September 2009. Aug 27: Global Security Newswire. "Pentagon Vetting Could Delay Warhead Modernization Plan." Aug 21: Slate, "Will the Pentagon Thwart Obama's Dream of Zero?" Aug 21: Nezavisimaya Gazeta (ng.ru), "For the collapse of Russia, and after..." The article makes extensive use of information on this FAS Strategic Security Blog but without giving credit. Aug 18: Global Security Newswire, "Inside Obama Administration, a Tug of War Over Nuclear Warheads." Aug 5: Global Security Newswire, "U.S. Could Pull Back Europe-Based Nukes, State Department Official Says." Aug 3: bgfactor.org (Russia), "От 1945 г. САЩ са произвели 66 500 атомни бомби и ядрени бойни глави" [Since 1945 the United States Built 66,500 Nuclear Weapons]. Aug: Svend Aage Christensen, "The Marshal’s Baton: There is no bomb, there was no bomb, they were not looking for a bomb," Danish Institute for International Studies, August 2009. Aug: Physics Today, "Obama and Medvedev set new limits on nuclear arsenals; further cuts likely." Jul 29: De Morgen (Belgium), "Tactische kernwapens hebben geen nut meer in Europa." Jul 28: Global Security Newswire, "U.S. Defense Official Skeptical of Revising Nuclear Deterrence Strategy." Jul: Dennis Gormley, et al., "Four Emerging Issues in Arms Control, Disarmament, and Nonproliferation: Opportunities for German Leadership," Monterey Institute. Study prepared for the Policy Planning Staff Foreign Office, Federal Republic of Germany. Jul 10: xinjunshi.com (China), "中印对峙:中国大量最新杀手锏被逼提前服役!" [Google translation: Confrontation between China and India: China's trump card forced a large number of up-to-date service in advance!]. Jul 9: San Francisco Chronicle (op-ed by Senator Feinstein), "Russian nuclear agreement a good start." Jul 9: Asia Times Online, "Mixed signals over Chinese missiles." Jul 9: CIGI (Canada), "Thank goodness the nuclear accountants are back." Jul 8: Nukes of Hazards Blog, "Keith Payne vs. Keith Payne." Jul 8: Politics Daily, "Tactical Nuclear Weapons, the Menace No One Is Talking About." Jul 8: The Sun Daily (Malaysia), "‘Joe One’ sparks nuclear arms race." Jul 8: USA Today, "U.S., Russia settle on nuclear arsenal cuts." Jul 7: Global Security Newswire, "U.S. Arms Control Proponents Laud Obama-Medvedev Pact as 'Progress'." Jul, NHK (Japan), "No More Hibakusha." Uses estimates for nuclear weapons. Jun-Jul: Scott Sagan, "The Case for No First Use," Survival, Vol. 51, No. 3, pp. 163-182. Jun 30: Global Security Newswire, "'Global Zero' Backers Propose U.S.-Russian Nuclear Cuts to 1,000 by 2018." Jun 29, segye.com (South Korea), columnish, "Urgent Need for Action." The columnist says FAS estimates Israel has 100-200 nuclear weapons of which about 10 percent ar thermonuclar. The actual estimate is around 80 warheads. Jun 24: New Scientists, "Bombers vs verifiers: A nuclear race worth winning." Jun 16: Associated Press, "China acknowledges incident between sub, US ship." Jun 12: Jamestown Foundation, Andrew S. Erickson, Michael S. Chase, "China’s SSBN Forces: Transitioning to the Next Generation." Jun 11: Reuters, "North Korea, Iran joined on missile work: U.S. general." Jun 10: Global Security Newswire, "Talk of U.S. Plans to Secure Pakistani Nuclear Weapons Called 'Wildly Hypothetical'." Refers to our warhead estimate for Pakistan. Jun 10: Global Security Newswire, "Iran Could Put U.S. in Missile Range by 2015, Air Force Report Warns." June: U.S. Naval Institute Proceedings, "An Undersea Deterrent?" Spring: Disarmament Policy (Acronym Institute), "From Counterforce to Minimal Deterrence: A New Nuclear Policy on the Path Toward Eliminating Nuclear Weapons." May 30: National Journal Magazine, "Road To Zero Nukes Remains Fraught." May 28: The Australian, "Beijing's missile stockpile growing." The article uses our warhead estimates, while describing a new Jane's report that appears to recycle old news about China's nuclear modernization. May 26: Rolling Stone, "Another North Korean Dud?" May 26: New York Times, "North Korean Nuclear Claim Draws Global Criticism." May 26: New York Times, "Seismic Readings From North Korea Blast Appear to Point to a Small Nuclear Test." May 25: ABC News, "U.S. reacts to N.K. nuclear tests." You'll have to wait for the commercial to end. May 25: wirednews.com, "North Korea's Nuke: How Big?" May 25: Bloomberg.com, "North Korea Conducts Nuclear Test, UN Council to Meet Today." May 24, Taipei Times, "China calls on US, Russia to cut their nuclear arsenals." May 15: Congressional Research Service, "Pakistan's Nuclear Weapons: Proliferation and Security Issues." May 15, Global Security Newswire, "U.S. Holds Blueprint for Securing Pakistani Nukes, Sources Say." Uses our estimate for Pakistan's nuclear arsenal, but doesn't credit. May 15: Trend News (Azerbaijan), "Inaccuracy in counting nuclear warheads can complicate U.S.-Russia negotiations: expert." May 13: Global Security Newswire, "U.S. Needs 15 Years to Dismantle Retired Warheads; Backlog Could Increase Under Obama." Refers to FAS/NRDC dismantling estimate described in USA Today article but cuts out FAS. May 12: USA Today, "U.S. warhead disposal in 15-year backlog." May 7: Toronto Star, "Pakistan calls fears over nuclear security overblown." May 6: William Perrry, et al., American's Strategic Posture: The Final Report of the Congressional Commission on the Strategic Posture of the United States, May 6, 2009. The report uses our estimates in its list of estimated world nuclear warhead arsenals (p. 111). May 6: Global Security Newswire, "U.S., Russia Could Discuss Nonstrategic Nuke Cutbacks After START Talks." May 5: Paul Bernstein (SAIC), "The Evolution of United States Nuclear Strategy and War Planning1945-2000 – A Primer," unpublished briefing to MORS (Military Operations Research Society) Nuclear Online Workshop. May 1: National Security Archive, "'How Much is Enough? ': The U.S. Navy and 'Finite Deterrence'." May: Steven Pifer, "Beyond START: Negotiating the Next Step in U.S. and Russian Strategic Nuclear Arms Reductions," Brookings Institution. Apr: William Perry, et al., U.S. Nuclear Weapons Policy, Council on Foreign Relations, April 2009. Apr 28: Associated Press (on yahoo news), "Russia: START replacement talks set for May." Uses estimates for U.S. and Russia deployed strategic nuclear forces, but without credit. Apr 27: Global Security Newswire, "New U.S. Global Strike Command to Juggle Nuclear, Conventional Missions." Apr 18: Wall Street Journal, "China, Friend or Foe?" Apr 17: Pravda, "Russia’s nuclear attack on U.S. may start with major banks." Apr 17: RIA Novosti, "12 Russian targets for U.S. nuclear missiles." Apr 16: bigness.ru, "Ядерный удар по США должен начаться с банков." Apr 16: RIA Novosti (comment), "Pentagon's new concept: what will Russia respond with?" Apr 16: RIA Novosti, "Senior Russian senator hits out at U.S. nuclear deterrence report." Apr 15: Russia Today, "An alternative nuclear posture?" FAS's Hans Kristensen interview about FAS/NRDC study on a new nuclear policy toward elimination of nuclear weapons. Apr 15: Konstantin Kosachev, Chairman, Russian Duma International Affairs Committee (on Russia Today). Kosachev and journalist misrepresent FAS/NRDC study by suggesting it recommends retargeting US nuclear forces against Russian industry. Apr 15: Aleksandr Pikaev (on Russia Today), "“Russia needs its intellectual response to US scientists’ nuclear report'." Interview is on youtube.com. Apr 15: Russia Today, "Nuclear deterrent needs reform - US think tank." Apr 15: Kommersant (Russia), "U.S. scientists pinpoint new nuclear targets for President Obama." Apr 15: Pravda, "U.S. retargets nuclear missiles to 12 Russian economic facilities." This news report is highly misleading by misrepresenting what the study says. Apr 15: RIA Novosti, "U.S. experts propose minimal deterrence nuclear targeting policy." Apr 14: Washington Post, "Report Urges Updating of Nuclear Weapons Policy." Apr 10: Global Security Newswire,"Nuclear Analysts Propose 'Minimal Deterrence' Force Numbering 500 Warheads." Apr 10: IRNA (Iran), "German FM urges removal of US atomic weapons from Germany." Apr 10: RTBF (Belgium), "Steinmeier pour un retrait des armes nucléaires américaines d'Allemagne." Apr 9: Global Security Newswire, "Nuclear Arsenal Reductions Face Serious Obstacles, Experts Say." Apr 9: Time Magazine, "Reducing Nuclear Weapons: How Much Is Possible?" Apr 8: Science Daily, "Nuclear Policy On The Path Toward Nuclear Disarmament: New Report." Apr 8: rightsidenews.com, "New Report Recommends Nuclear Policy on the Path Toward Nuclear Disarmament." Apr 6: CNN Situation Room, "Ridding the World of Nuclear Weapons." Apr 6: Der Spiegel, "Abrüstungsplan entfacht Debatte um US-Atomwaffen in Deutschland." Uses FAS/NRDC estimate for U.S. weapons in Europe, but credits secondary source. Apr 4: Secret Défense (Liberation, France), "Otan: le retour de la défense collective." Uses estimate for U.S. nuclear weapons in Europe in speculating that President Obama's Prague speech would announce (which it didn't) the withdrawal of tactical nuclear weapons from Europe. Apr 1: Chuck Hagel, et al., Op-Ed, Financial Times, "Scrapping Nuclear Arms is Now Realpolitik." Uses estimate for total nuclear weapons. Apr: Stimson Center, Unlocking the Road to Zero: China and India. Apr: Jeffrey A. Larsen, "Arms Control in the Obama Administration," in Strategic Insights, Volume VIII, Issue 2, Naval Postgraduate School, April 2009. Mar 30: World Council of Churches, Appeal to NATO. Letter includes estimate for U.S. nuclear weapons in Europe. Mar 28: Associated Press (Moscow), "Hitting reset: US, Russia face tough nuclear talks." Mar 24: New York Times (editorial), "Watershed Moment on Nuclear Arms." Uses estimate for nuclear weapons in Europe, but without credits. Mar 23: International Herald Tribune, "France will compensate victims of nuclear tests." Uses older estimate as "last year's" estimate of French nuclear forces; the updated estimate is here. Mar 23: New York Times, "France Agrees to Pay Nuclear Test Victim." Uses older estimate as "last year's" estimate of French nuclear forces; the updated estimate is here. Mar 22: chinanews.com.cn, "美核潜艇巡航频繁 "8010核战计划"指向中俄(图)." Google translation here. Refers to AP story on March 16, 2009, about FAS blog on U.S. ballistic missile submarine patrols. Mar 20: Global Security Newswire, "Quickly Interpreting North Korea Launch Could Prove Difficult, U.S. General Says." Mar 16: Russia Today, "For the U.S. Submarine Fleet, It's Still a Cold War." Mar 16: Tapped (The American Prospect), "It's 3 AM; Do You Know Where Your Nuclear Ballistic Missile Submarine Is?" Mar 16: Global Security Newswire, "U.S. Missile Submarines Sustain Active Schedule." Mar 16: Defense Professionals (def.pro.com), "U.S. Strategic Submarine Patrols Continue at Near Cold War Tempo." Mar 16: Manila Standard Today (Philippines), "US, China send warships to Spratlys." Mar 12: International Herald Tribune, "U.S. vessel's standoff with Chinese sub 'dangerous,' analyst says." Mar 12: Associated Press, "China's top diplomat visiting Obama at White House." Mar 12: The Virginian-Pilot, "Destroyer escorting ship involved in US-China incident." Mar 12: Associate Press (Beijing), "China demands end of US Navy surveillance." Mar 12: Taipei Times, "Taiwan ‘driving Chinese military goals’." Mar 11: MarineBuzz.com, "China Warns U.S.Navy Ocean Surveillance Ship to Stay Away from Hainan Island." Mar 11: Irish Times, "China accuses US navy ship of breaking maritime laws." Mar 11: USA Today, "China demands end of US Navy surveillance." Mar 11: Global Security Newswire, "U.S. Subwatching Ship Claims Chinese Harassment." Mar 10: USA Today, "Bad parallels seen in Chinese naval clash." Mar 10: Der Spiegel Online, "China testet Obamas Entschlossenheit." Mar 10: Los Angels Times, "China says U.S. provoked naval confrontation." Mar 3: The Numbers Guy (Wall Street Journal Blog), "The Crash Calculations." Mar 3: IEEE Spectrum, "What About The Nukes?" Feb: Carnegie Endowment, "World Nuclear Arsenals 2009." Feb 27: Global Security Newswire, "Top U.S. General Spurns Obama Pledge to Reduce Nuclear Alert Posture." Feb 24: Dominion Post editorial (New Zealand), "Editorial: Cut the bluster in nuclear talk." Feb 22: StrategyPage.com, "The Russian Navy Crawls Out Of The Cellar." Uses data from blog on Russian submarine patrols without (as usual) referencing the source. Feb 20, Time, "The nuclear risk: How long will our luck hold." Feb 19: Time, "Why we should still fear a nuclear war." Feb 18: Global Security Newswire, "Russia Restores Nuclear-Armed Submarine Patrols." Feb 18: STRATFOR, "Geopolitical Diary: A Sign of Russia's Renewed Confidence." Feb 16: Time, "Did France's Secrecy Cause a Nuclear Submarine Collision?" Feb 13: Washington Post, "U.S. Ahead of Moscow Treaty in Reducing its Nuclear Arsenal." Feb 13: barentsobserver.com, "Only seven nuclear submarine patrols in 2008." Feb 11: Global Security Newswire, "U.S. Meets Moscow Treaty Nuclear Reduction Commitment Three Years Early." Feb 11: Air Force Times, "Schwartz, Donley to talk nukes with lawmakers." Feb 7: Indian Express, "China's submarine patrols raise eyebrows in India." Feb 6: China Journal (Wall Street Journal blog), "From the Depths: China Invests in Submarines." Feb 5: Macau Daily Times, "China increases submarine patrols, says US report." Feb 4: DOD Buzz, "China Doubles Sub Patrols; Threat Increase?" Feb 4: STRATFOR, "China: More Submarine Activity." Feb 4: inquerer.net (Philippines), "China increases submarine patrols." Feb 4:The Straits Times (Singapore, "China ops submarine patrols." Feb 4: Jongo News (Shanghai/Hong Kong), "China increases submarine patrols - report." Feb 4: Asia One News, "China ops submarine patrols." Feb 4: Asia Times, "Beijing wants it both ways in space." Feb 3: spacewar.com, "China increases submarine patrols - report." Feb 3: Yahoo News, "China increases submarine patrols - report." Feb 3: France 24, "China increases submarine patrols - report." Feb 3: AFP, "China increases submarine patrols - report." Feb 3: UPI, "China conducting far more sub patrols." Feb 2: Omaha World-Herald, "Omaha has rivals for 2 commands." Feb 1: AFP, "Obama, Pentagon pull in different directions on no nukes goal." Jan 26: Global Security Newswire, "China Shows Nuclear Transparency in New Report." Jan 26: Time Magazine, "Obama's nuclear war." The article's graphic of the global nuclear balance uses estimates developed by FAS and NRDC but without giving credit. Jan 17: Asia Times Online, "Smart power play in Pyongyang." Jan 16: scienceline.org, "Battling Over Aging Nuclear Warheads." Jan 14: Air Force Times, "62nd Airlift Wing passes nuclear inspection." Jan 13: Seattle Post Intelligencer (seattlepi.com), "McChord boasts high-grade nuclear airlift team." Jan 9: Air Force Times, "Reports: Air Force worst in dealing with nukes." Jan 6: nuclearweaponsfree.org, "Cold War "baggage" passed on to Obama." Jan: Stephen Schwartz and Deepti Choubey, Nuclear Security Spending: Assessing Costs, Examining Priorities, Carnegie Endowment for International Peace, Washington, D.C.
Dec 25: The Nation (Pakistan), "'Indian missiles can trigger N-conflict'." Dec 21: Air Force Times, "Kehler: NSI failures part of solution." Dec 16: Global Security Newswire, "World Faces 'Cascade of Proliferation,' Report Says." Dec: Air Force Magazine, "A Flagging Nuclear 'Enterprise'." (Lists warhead estimates, which since 2001 has been produced jointly by NRDC and Kristensen (since 2005 with FAS)). Dec 4: bianet.org (Turkey), "İncirlik Üssü Gerçekleri." Dec 3: Joe Cirincione/Boston Globe, "Need cash? Cut nuclear weapons budget." (Uses warhead estimates). Dec: WMD Insights, "China’s Strategic Modernization: Balancing Assessments." Nov 17: Orienting the 2009 Nuclear Posture Review: A Roadmap (Washington, DC: Center for American Progress/Ploughshares Fund, November 17, 2008). Nov 7: Global Security Newswire, "Strategic Arms Funds Tilt Conventional in 2009." Nov 3: Global Security Newswire, "Gates Nuclear Speech Fails to Sway Opponents." Oct 29: Global Security Newswire, "Gates Sees Stark Choice on Nuke Tests, Modernization." Oct 28: Las Vegas Sun (editorial), "Nuclear Weapons: Plans to revamp the nation’s arsenal should be carefully reviewed by Congress." Oct 27: K L Security Review (Malaysia), "'China's Strategic Modernization.' Will the Report Trigger a New Cold War Between China and the United States?" Oct 26: Associated Press, "U.S. Considering Implications of Nuclear Decline." Oct 23: Japan Times, "'58 Taiwan Strait Crisis Saw Nukes in Okinawa." Oct 9: TheTelegraph (UK), "US told to increase nuclear arsenal as China threat looms." Oct 7: Inside the Air Force, "New Focus on Nukes." Sep 29: wired.com, "Report: Time for a New Arms Race With China." Sep 29: Omaha World-Herald, "Nuclear readiness high on StratCom chief's agenda." Sep 26: news.de (Germany), "«Atomwaffen verleihen Prestige»." Sep 26: Global Security Newswire, "U.S. Air Force Might Modify Nuclear Bomb." Sep 25: objektifhaber.com (Turkey), "İNCİRLİK GÜVENLİ DEĞİL." Sep 24: Global Security Newswire, "U.S. Nuclear Arms Paper Underlines Need for RRW." Sep 12: OnlineOpinion.com.au, "Is the Navy talking up China's nuclear submarine threat?" Sep: Arms Control Today, "NATO Mulls Nuke Modernization, Security." Aug 29: Congressional Research Service, "Turkey: Selected Foreign Policy Issues and U.S. Views." Aug 12: ISN Security Watch (Switzerland), "The Tactical Nuclear Weapons Game." Aug 5: Congressional Research Service, "U.S. Strategic Nuclear Forces: Background, Developments, and Issues"
Jul 23: Air Force Times, "Minot's latest alarm: napping with launch codes." Jul 22: Wired News, "Pentagon Kills Russian Nuclear Strike Plan." Jul 21: Discover, "CanYou Spot the Chinese Nuclear Sub?" (Describes discovery of Jin-class, but without giving credit). Jul 21: Global Security Newswire, "No Need for U.S. Nukes In Europe, Observers Say." Jul 17: Global Security Newswire, "Navy Eyes New Weapon for Global Strike, Missile Defense." Jul 2: Evrensel (Turkey), "İncirlik’in önemi İran’a yakın olması ." Jul 2: Global Security Newswire (NTI), "Netherlands Disputes U.S. Nuclear Security Report." Jul 2: Washington Post, "Air Force Finds Lax Nuclear Security." Jul 1: Der Spiegel, "Berlin Holds on to Obsolete Weapons." Jul 1: Stars and Stripes, "110 B-61 warheads reported moved from RAF Lakenheath." Jul: Joint Forces Quarterly, "China’s New Undersea Nuclear Deterrent: Strategy, Doctrine, and Capabilities." Jul: Center for Defense Information, "An Examination of the Pentagon’s Prompt Global Strike Program: Rationale, Implementation, and Risks"
Jul: James Rickard, "Sun Tzu, Nuclear Weapons and China's Grand Strategy," in Strategic Insights, Volume VII, Issue 3, Naval Postgraduate School, July 2008. Jun 30: Turkish Daily News, "Incirlik becomes major host for American nuclear weapons." Jun 28: East Anglian Daily Times, "'We're staying put', say air base chiefs." Jun 28: Stars and Stripes, "U.S. nukes moved from Lakenheath, official claims." Jun 27: Pugwash, "Pugwash Urges Removal of All NATO Nuclear Weapons." Jun 27: Jerusalem Post, "Watchdog group: US nukes reportedly withdrawn from UK base." Jun 27: BBC, "US weapons 'withdrawn' from base." Jun 27: Star Tribune, op-ed, "Steve Andreasen: With nuclear weapons, a lot can go wrong." Uses information from blog without crediting. Jun 27: East Anglian Daily Times, "Future of American air base at risk." Jun 27: The Scotsman, "US nuclear weapons 'leave British soil at last' after half a century of controversy." Jun 27: AFP, "US withdraws nuclear bombs from Britain: report." Jun 27: The Times, "Last US nuclear weapons ‘withdrawn from UK’." Jun 26: STRATFOR, "Nuclear Weapons: The Question of Relevance in the 21st Century." Jun 26: Press TV (Iran), "US withdraws nuclear bombs from UK." Jun 26: UPI, "Germany wants U.S. to remove nukes." Jun 26: East Anglian Daily Times (UK), "Nuclear weapons removed from Suffolk." Jun 26: The Telegraph (UK), "America removes nuclear weapons from Britain after 50 years." Jun 26: Reuters, "U.S. pulls nuclear weapons from U.K."
Jun 26: The Guardian, "US removes it nuclear weapons from Britain." Jun 24: Daily Times (Pakistan), "German Opp says US nuclear bombs must go." Jun 23: Air Force Times, "German politicians seek nuclear weapon removal." Jun 23, Reuters, "U.S. report shows gaps in European nuclear security." Jun 23: ZDF (German National TV), lead story in prime time evening news. Jun 23: International Herald Tribune, "German parties press U.S. to withdraw nuclear arms." Jun 23: AFP (Brussels), "Security of US nuclear arms in Europe is not our problem: NATO." Jun 23: Deutsche Welle, "Politicians Urge Removal of US Nuclear Weapons From Germany." Jun 23: Der Spiegel, "German Politicians Want Nukes out of Europe." Jun 23: Air Force Times, "Russia’s nuclear interest revived." Jun 22: RAI News 24 (Italy), "Rapporto Usaf: le basi europee e italiane con armi nucleari Usa non sono sicure." Jun 23: Partito Democratico (Italy), "Il Pentagono contro le proprie basi in Europa." Jun 22: La Repubblica (Italy), "Usa, allarme basi nucleari 'In Italia sono a rischio'." Jun 21, Associated Press, "Report: European nuclear facilities need security upgrades." Jun 21: Qui Brescia (Italy), "Ghedi, testate atomiche a rischio." Jun 21, AFP, "Security lacking at nuclear weapons sites in Europe: US report." Jun 21, Alalam (Iran), "Memo: US Nukes in Europe Not Secure." Jun 21, Deutsche Welle, "European Nuclear Weapons Sites Lack Security, Says US Report." Jun 21, Megachip.com (Italy), "USAF Report: “Most” Nuclear Weapon Sites In Europe Do Not Meet US Security Requirements" (reprints entire blog). Jun 21, De Morgen (Belgium), "Kleine Brogel niet veilig." Jun 21: Stars and Stripes, "Air Force investigators: Most European bases with nukes lacking in security." Jun 20, De Standaard (Belgium), "Defensie reageert niet op Amerikaanse rapport nucleaire sites." Jun 20, hbvl.be (Belgium), "Defensie reageert verveeld op veiligheidsrapport Kleine Brogel." Jun 20: Der Spiegel, "Sicherheitmängel in europäischen Atomwaffenlagern." Jun 19, LeVif.be (Belgium), "Des sites nucléaires US en Europe ne satisfont pas aux normes." Jun 19: Global Security Newswire, "Review Questions Security Over U.S. Nukes in Europe." Jun 19, De Standaard (Belgium), "Amerikaanse nucleaire sites in Europa voldoen niet aan normen." Jun 19, Time Magazine, "Are US Nukes in Europe Security." Jun 9: FederalTimes.com, "Roadrunner breaks computer speed barrier." May 31: Washington Post, "Air Force Unit's Nuclear Weapons Security Is 'Unacceptable'." May 30: Air Force Times, "Minot’s 5th Bomb Wing flunks nuclear inspection." Also reproduced in USA Today. May 21: NewsMax.com, "Massive New Chinese Missile Base Uncovered." May 20: Associated Press, "China: Earthquake buried 32 sources of radiation." May 19: CNN, morning news report on Chinese earth quake. May 18: Monster and Critics, "Military nuclear facilities safe in quake zone, China says." May 18: MSN India, "Chinese threat to India mounting?" May 17: Associated Press, "US monitoring China's nuclear sites after quake." May 17: Associated Press (Beijing), "China on alert for nuclear accidents after quake." May 17: Peter Coates Int Blog, "Chinese and American Information Campaigns." This blogger accuses FAS of getting help from the US Defense Intelligence Agency to produce the recent article about a Chinese missile site. May 17: The Hindu, "China missile base larger than expected: study"
May 17: Indian Express, "China upgrading n-missile launch site nearest to India." May 16, Times of India, "Massive Chinese missile site uncovered." May 16, Washington Times, Inside the Ring, "China base." May 16: International Herald Tribune, "Western experts monitor China's nuclear sites for signs of damage." May 16: New York Times, "Western experts monitos China's nuclear sites for signs of earthquake damage." May 16: DNA (India), "Chinese nuclear missile base has north India in sight." May 16, Daily Times (Pakistan), "Satellite reveals extensive missile site in China: analyst." May 15: Focus News (AFP), "Extensive missile site in China revealed by satellite: analyst." May 13: Christian Science Monitor, "Global scrutiny follows reports of Chinese nuclear base." May 9: National Public Radio, "China's Underground Submarine Base Scrutinized." May 9: Press Trust of India, "Navy to keep watch on Chinese nuclear submarine movements." May 8: Rediff.com (India), "About those Chinese military capabilities." Comments to claims made in this article. May 8: InformationWeek, "Google Among Sites Under Investigation In China For Illegal Mapping." May 6: ARS Technica, "Upset by sensitive images, China cracks down on online maps." May 5: Pravda, "US intelligence notices less activity in Russian nuclear submarines." May 5: Thaindian News (Thailand), "India concerned at China’s growing n-submarine fleet." May 3: The Sunday Express (India), "China’s new n-submarine base sets off alarm bells." April 30: Japan Today, "China deploys new nuke-powered sub." April 30: Kyodo News (Japan), "China deploys new nuke-powered sub at E. China Sea base." April 29: guidemoscow.com, "Submarine patrols in 2007." April 29: L'Association des Réservistes de la Marine, "Les SNLE russes ont effectué seulement 3 patrouilles de dissuasion en 2007." April 28: Middle East Times, "Russia 'no longer uses' nukes sub deterrent." April 29: United Press International, "Russia 'no longer uses" nukes sub deterrent." Apr 10: Peace Talk (Ploughshares Fund), "Lessons from the nuclear fly-by." Apr 7: military.com, "Lessons From the Accidental Nuke Flyby." Apr 3: Washington Observer, "五角大楼摆“乌龙”，核误运暴露台湾“核野心”？"
Mar 31: Air Force Times, "Lost ballistic fuses spark investigations." Mar 27: Air Force Times, "Details emerging on how fuses got to Taiwan." Mar 27: The China Post (AFP), "Fuse components the brain of thermonuclear weapon: expert." Mar 26: AFP, "US sent Taiwan nuclear missile components by mistake." Mar 26: Aljazeera.net, "US admits Taiwan nuclear error." Mar 26: Air Force Times, "ICBM fuses mistakenly sent to Taiwan in 2006." Mar 22: The New York Times (AP), "Sarkozy Dedicates Nuclear Submarine." Mar 21: International Herald Tribune (AP), "Sarkozy says France will cut nuclear arsenal." Slightly different version here. Mar 18: San Francisco Chronicle, "Livermore: Major cuts planned at nuclear labs" (uses research but doesn't credit). Mar 8: New Scientist, "Trident missiles delayed by mystery ingredient" (requires password, but full version is here). Mar 7: Global Security Newswire, "Chinese Nuke Arsenal Spiked Since 2006, Report Shows"
Mar 7: Wired News, "Secret Ingredient Delays Missile Upgrade." Mar 6: Global Security Newswire, "U.S. General Calls for Faster Action on Reliable Replacement Warhead." Mar 4: Fox News (AP), "Commander: Update US Nuclear Arsenal." Feb 28: Global Security Newswire, "Air Force Omits Nuke Error from 2007 Incident List." Feb 26: Air Force Times, "Nuclear safety slipped for years before Minot." Feb 25: Taipei Times, "PRC still expanding sub fleet: analysts." Feb 25: International Herald Tribune, "Chinese Submarine Fleet is Growing, Analysts Say." Feb 24: New York Times, "Chinese Submarine Fleet is Growing, Analysts Say." A letter to the editor has been sent to correct errors, and will be linked when it appears. Feb 22: Popular Mechanics, "3 Things We Learned From the Accidental US Nuke Flyby." Feb 20: Nuclear, Biological, and Chemical Weapons and Missiles: Status and Trends, Congressional Research Service, updated February 20, 2008. Feb 15: KSLA News 12: "Mixed Signals on Barksdale AFB's Nuclear Weapons Safety." The video broadcast is available. Feb 14: Daily Kos, "Nukes on a plane and why they got there." Feb 12: Air Force Times, "237 nukes handling deficiencies cited since 2001." Feb 7: International Herald Tribune, "U.S. military officials wary of China's expanding fleet of submarines." Feb 4: Air Force Times, "Minot chief sets bar high after nuke gaffe." Feb 2: Dickinson Press, "Commander says 'goal is perfection' after nuclear gaffe." Feb 2: Ian Anthony, SPIRI, "The Future of Nuclear Weapons in NATO." Feb: Noam Ophir, "The Core of the Matter: US Doctrine on Nuclear Weapons Use, 1988-2008," in Strategic Assessment, Vol. 10, No. 4, Institute for National Security Studies, Tel Aviv University, February 2008. Jan 23: U.S. Nuclear Weapons: Changes in Policy and Force Structure, Congressional Research Service, updated January 23, 2008. Jan 16: Nonstrategic Nuclear Weapons, Congressional Research Service, updated January 16, 2008. Jan 13: Tampa Tribune, "Nuclear Bombs Down, Risk the Same." Jan 9: Wired News, "China's Subs: Six Patrols in 2007." Jan 8: Global Security Newswire (NTI), "Chinese missile submarines remained quite in 2007." Jan 8: GovernmentExecutive.com, "China's largely inactive submarine fleet stirs." Article listed as "today's most popular." Project news examples from 2007 and previous years are available here.